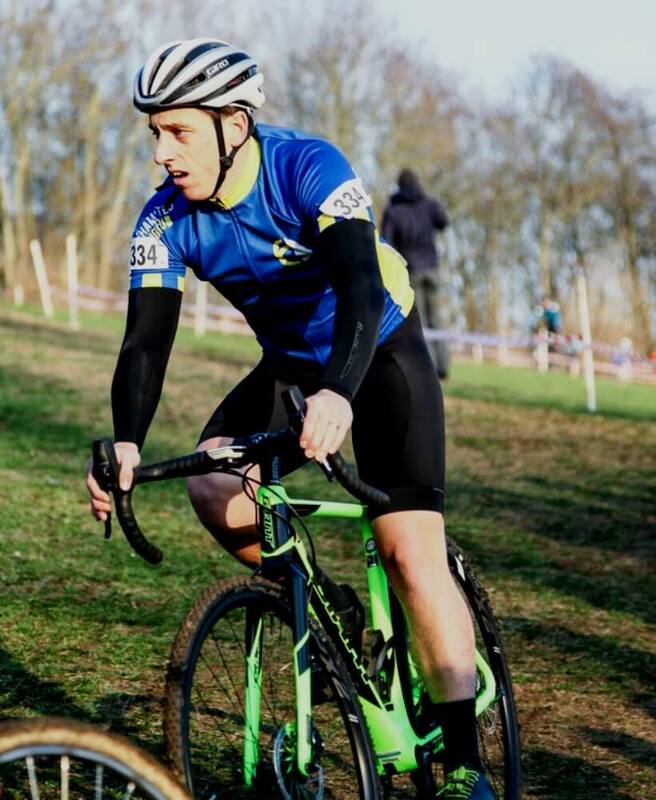 Congratulations to Ben Nixon who came 7th in his first ever Cat 4 race. 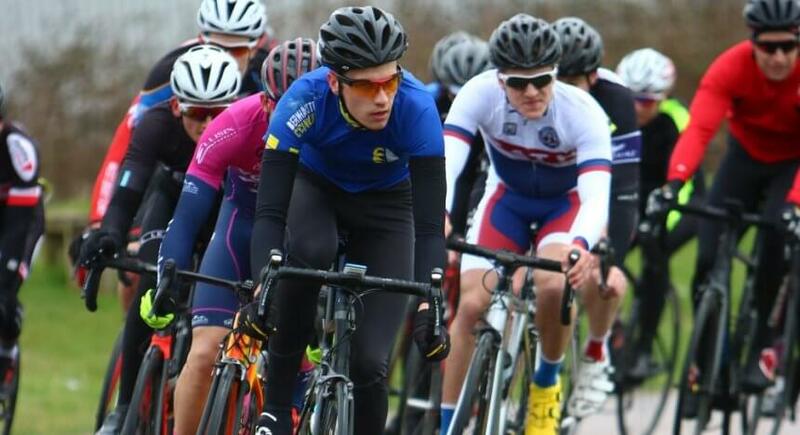 Ben worked hard leading the peloton at Hillingdon cycle circuit back to the breakaway group on the final lap. Rob Morton in his first regular British Cycling Cat 4 race and Rich were just outside the points. 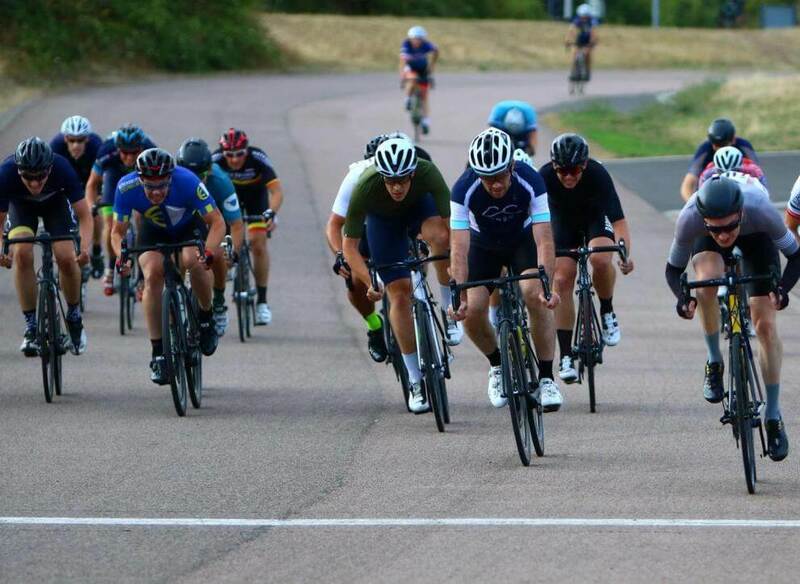 Matt raced the Cat 3 event and finished in a strong 5th place amongst a very sketchy bunch sprint. 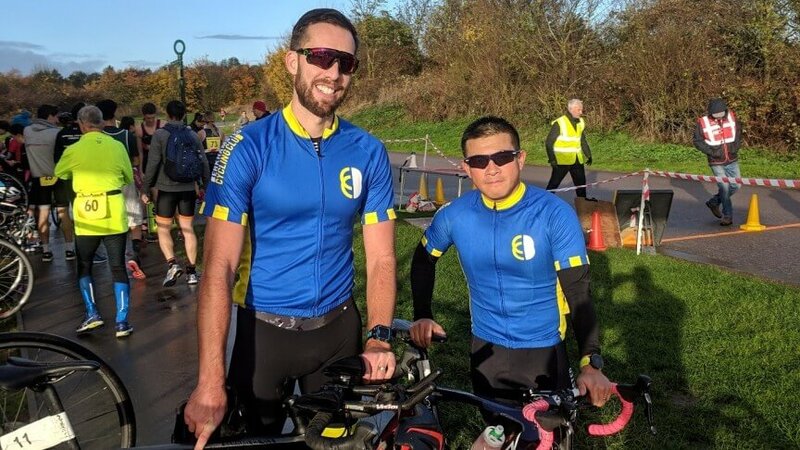 1 point away from gaining his Cat 2 license! 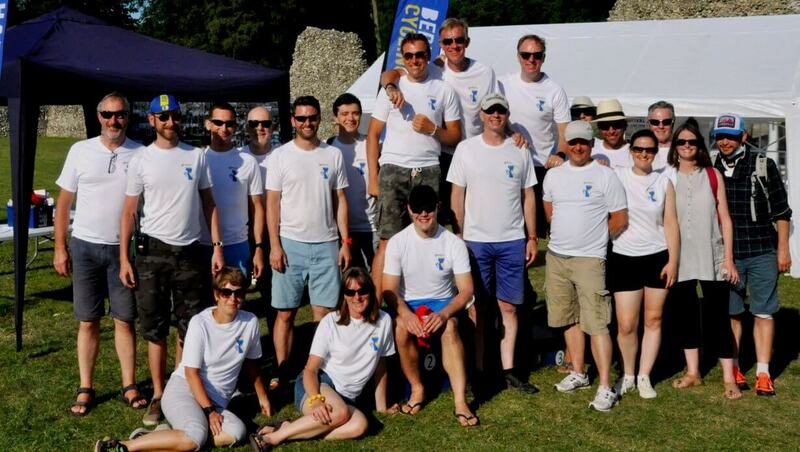 A great evening for Berko CC. 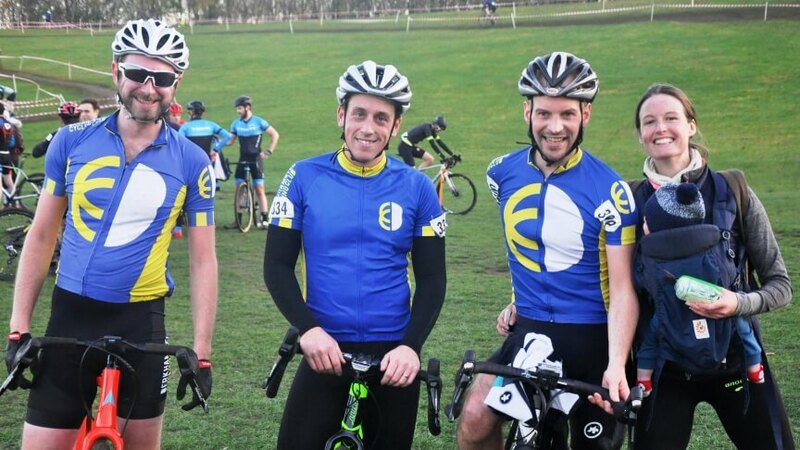 Rich raced at Milton Keynes Bowl finishing 10th and gaining another point. 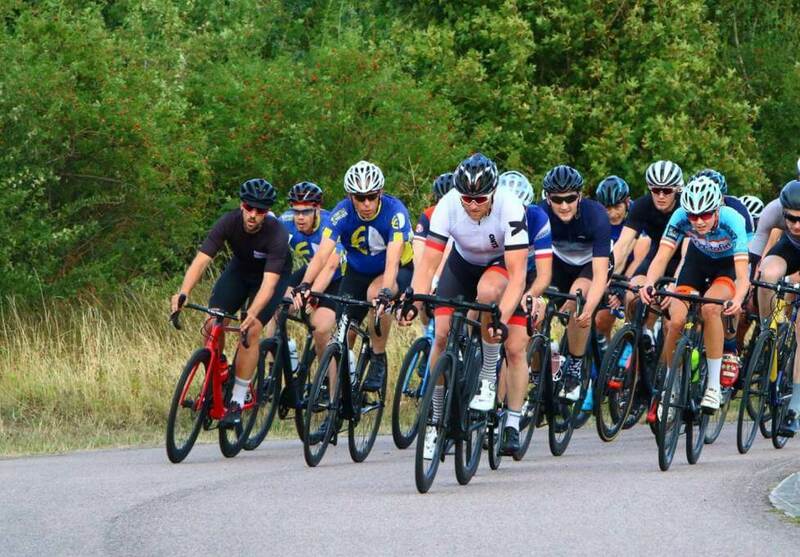 Matt and Richard have been out on the local crit circuits at Milton Keynes and Hillingdon. 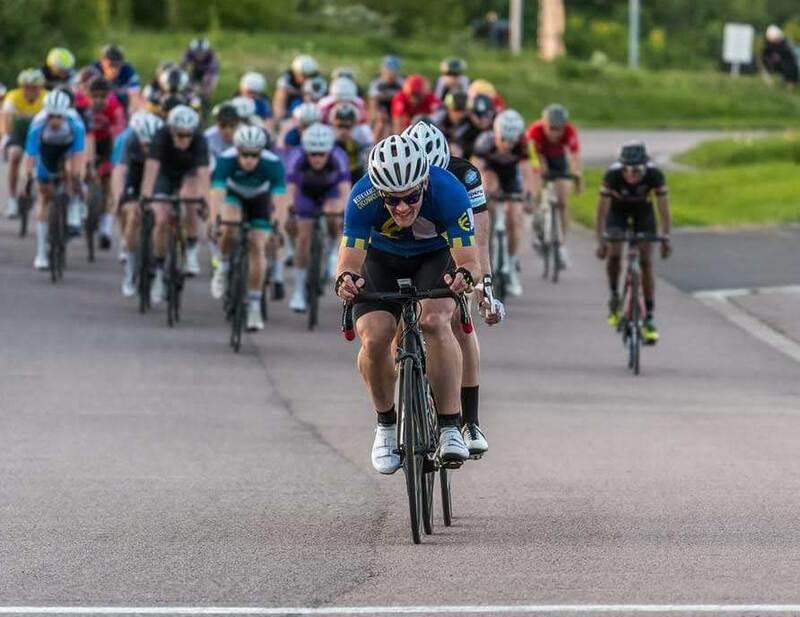 Richard is improving in the cat 4 races contesting for the sprint at Hillingdon and getting stronger as the season moves on. 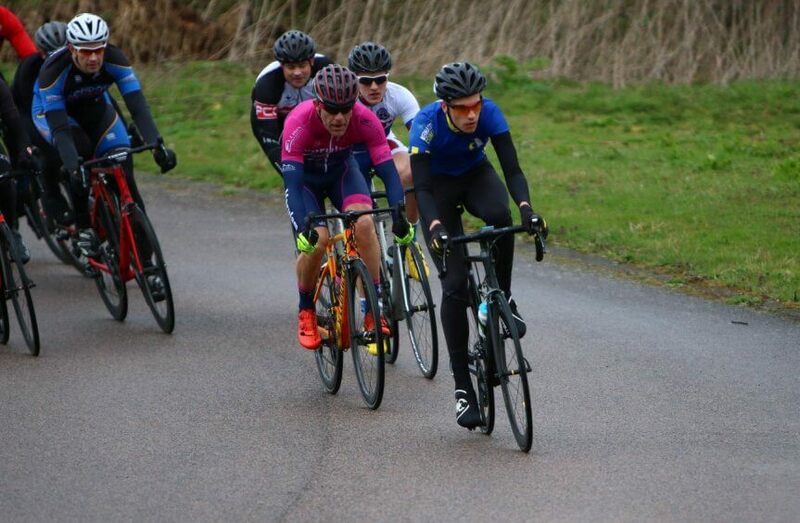 Matt has had some well earned rest with family holidays and finished 6th at Hillingdon cat 3 race. 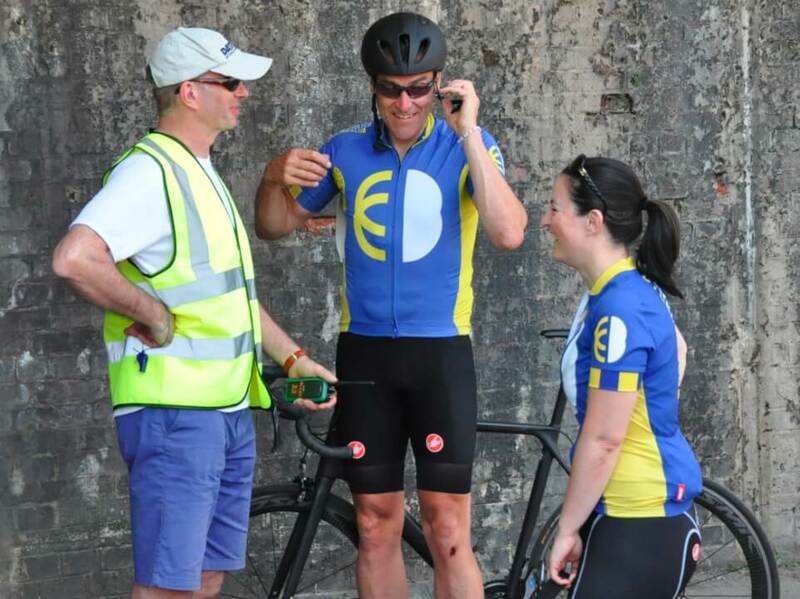 He punctured early on, changed a wheel and had to sprint back to the bunch. Ultimately the effort cost as Matt felt he could have gone with a three man break that stayed away and took the top spots. 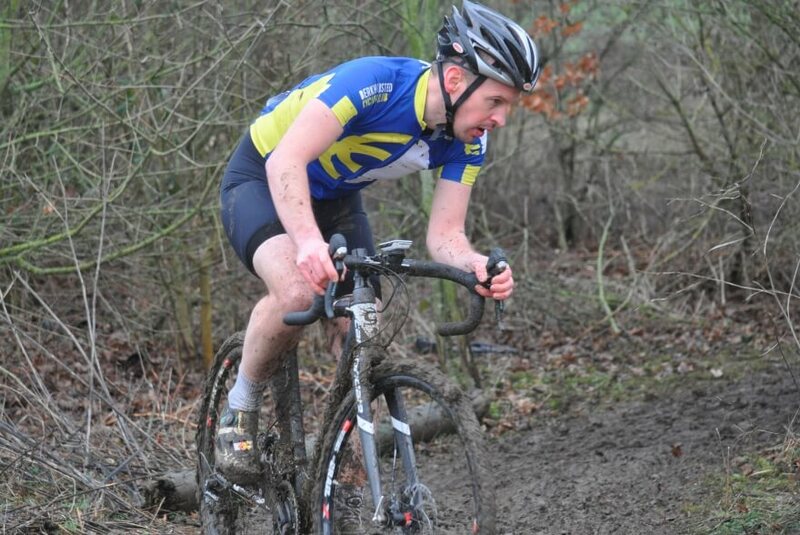 Matt at Hillingdon after the sprint. Tank empty! 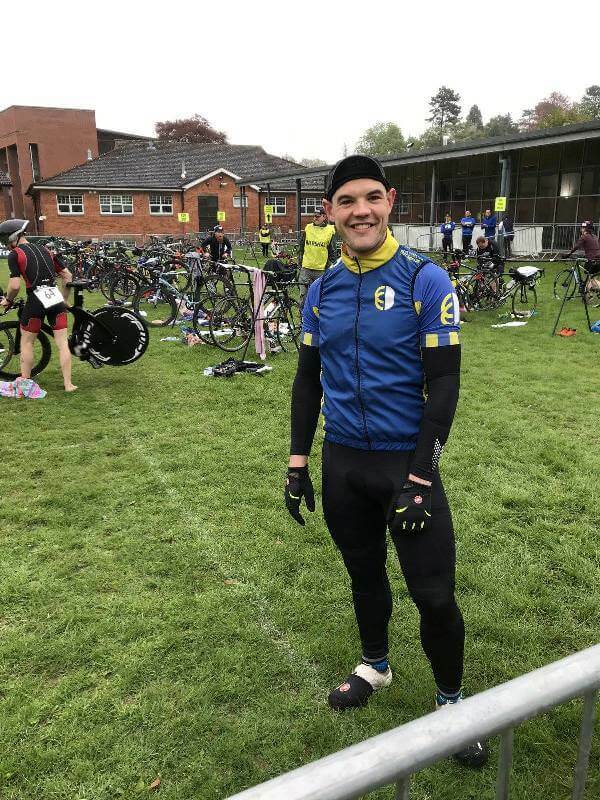 Over the Bank holiday weekend I took part in the Tour of Wessex, a 3 day cycle sportive covering 325 Miles/ 525 km and 25,000 ft/ 7,600 meters of climbing. 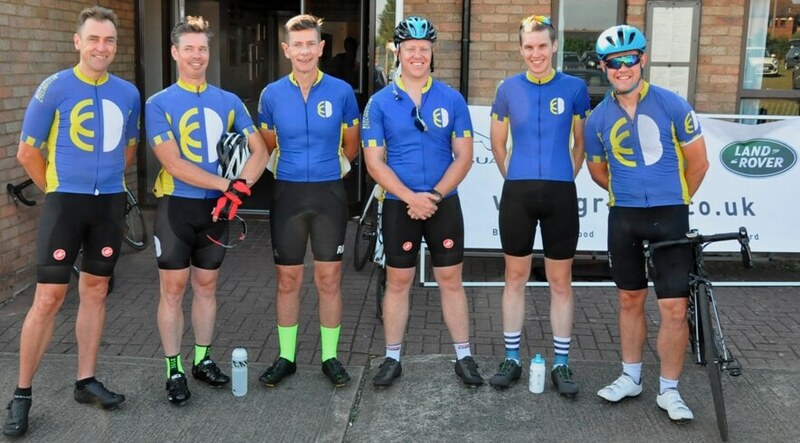 The start of the first ride took me north into the Mendip Hills and a climb up through Cheddar Gorge, followed by some further tough climbs including a couple with gradients of over 20%. 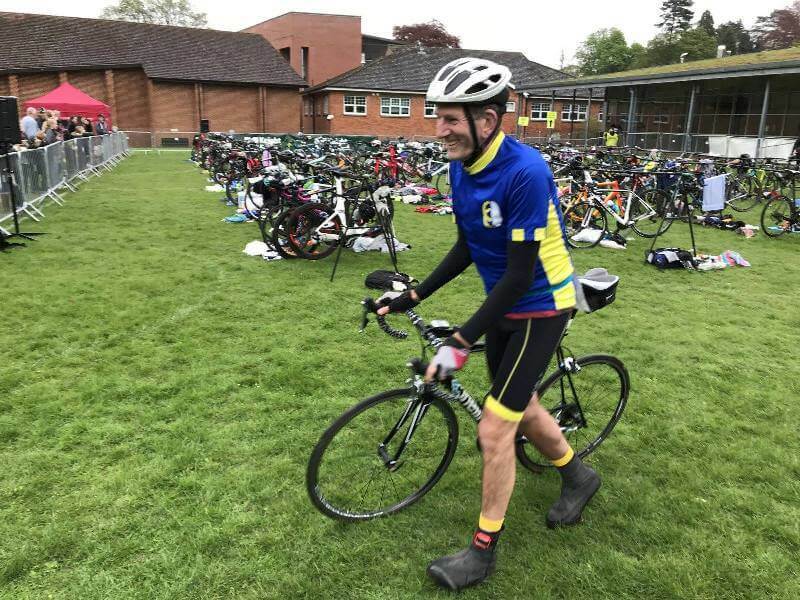 Finally, I looped back through Glastonbury then back to the HQ. The second day started with a storm which turned the roads to rivers, fortunately after an hour or so the rain cleared and the sun came out. This ride was the longest of the weekend and took me south down to the Dorset coast and Corfe castle. 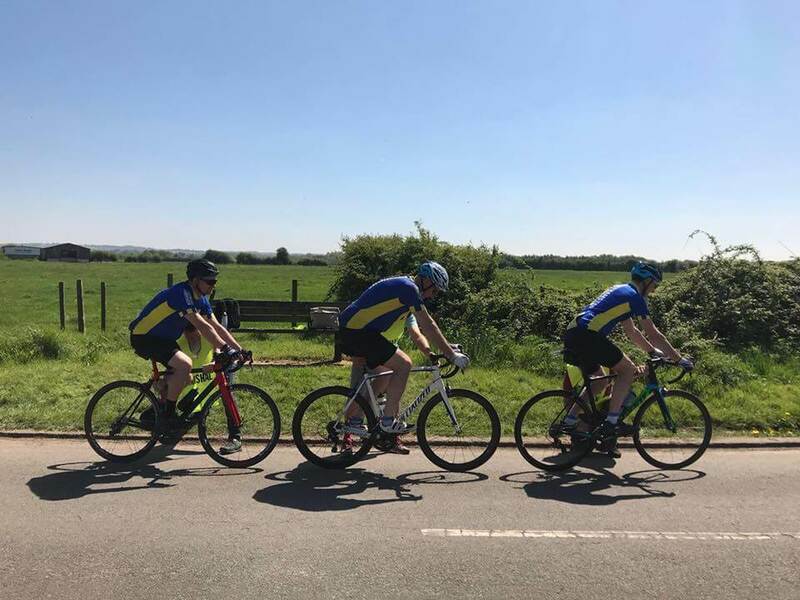 There was only 1 significant climb about half way through the ride, which was 2 Miles long with an average gradient of 4% maxing out at 17%, the remainder of the ride was on rolling terrain back to the HQ. 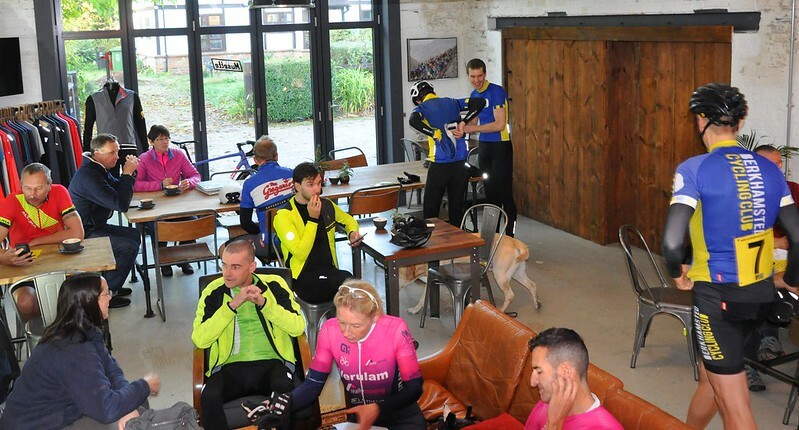 Today’s ride would have been a very tough ride without 220 Miles in the legs as it included multiple difficult climbs. The pace at the start of today was much slower than previous days as everybody tried to save as much energy for the hill later in the ride. 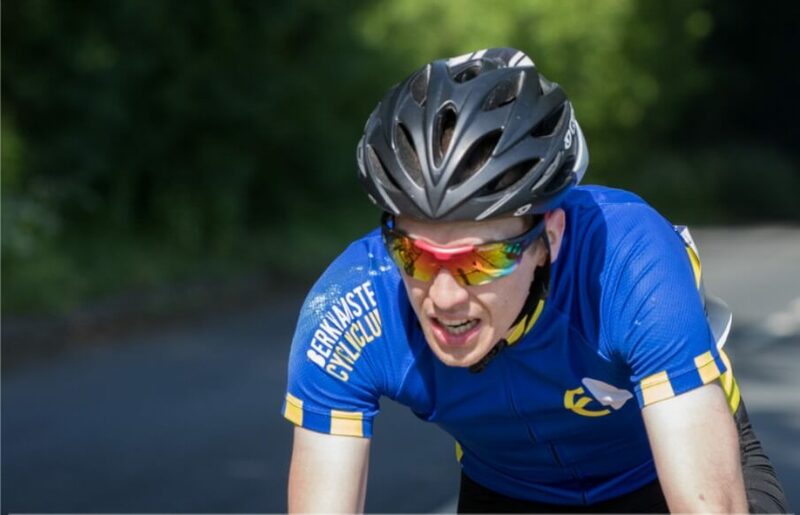 The first climb of the day was 1.5 Miles at 7% with multiple sections over 20%, this was followed by a 1.2 mile climb at 10% which took me into Exmoor. Fortunately, the ride took us down the A39 (the steepest A road in the UK) which had gradients in excess of 25%. 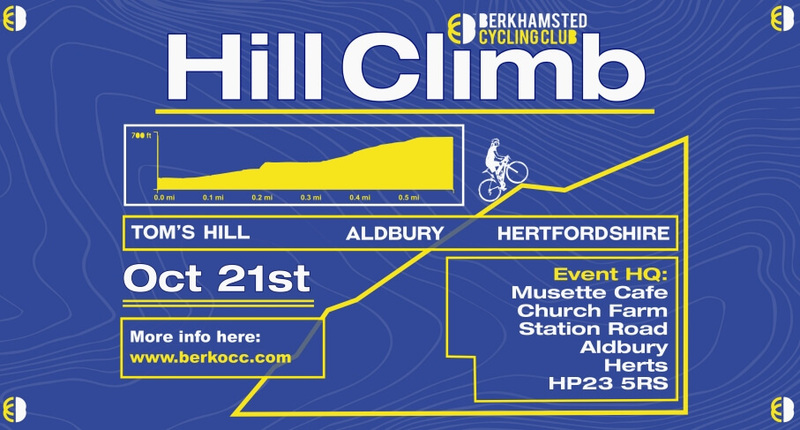 Though this meant ascending Dunkery Beacon, a 1.9 Mile climb averaging 10.3% with multiple sections in the high teens. 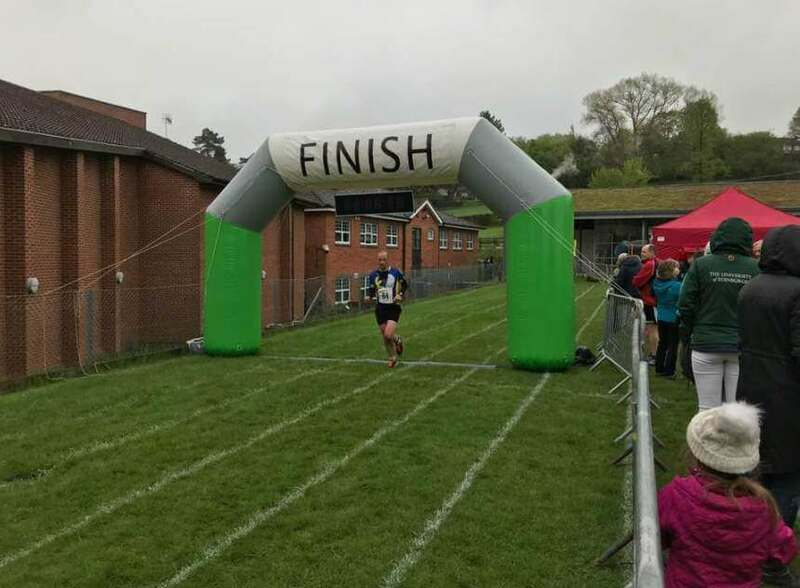 With one final tough climb back through the Quantock hills, I had completed the event. 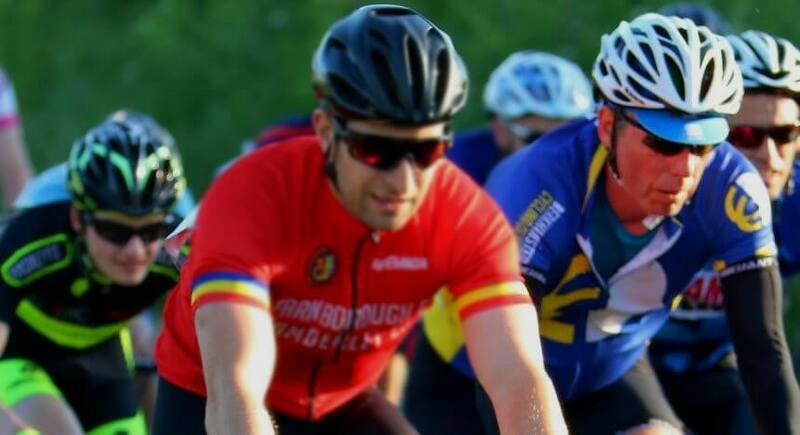 If you’re thinking of doing a multi-day sportive I would highly recommend the Tour of Wessex. 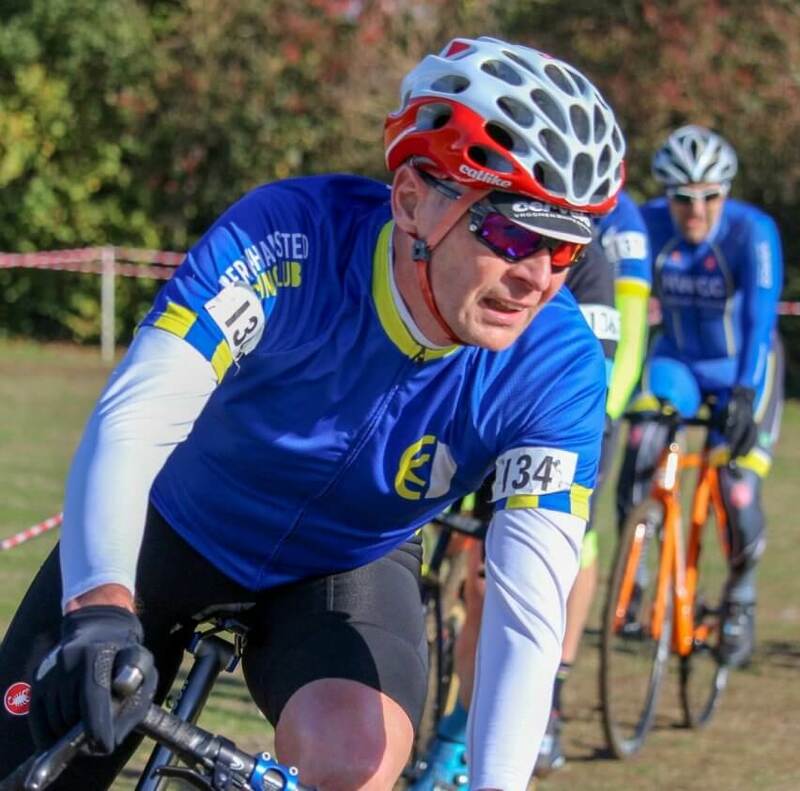 A very well organised sportive with 3 great routes providing a real challenge in some stunning scenery. 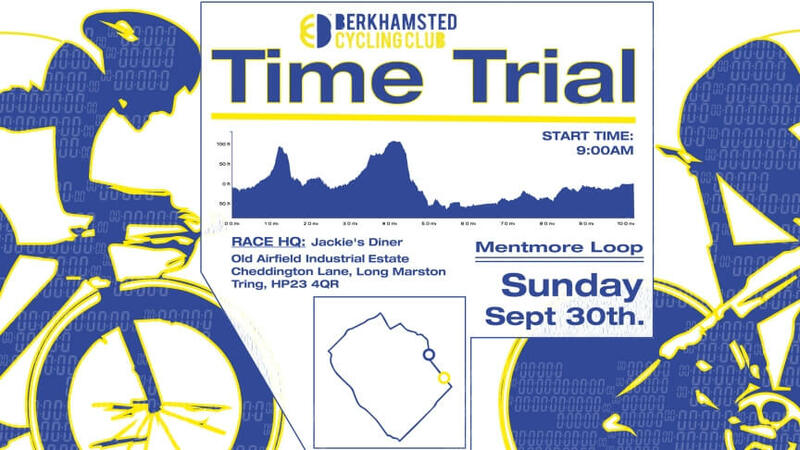 Richard races at Hillingdon and Julian at the Lovelo Time Trial. 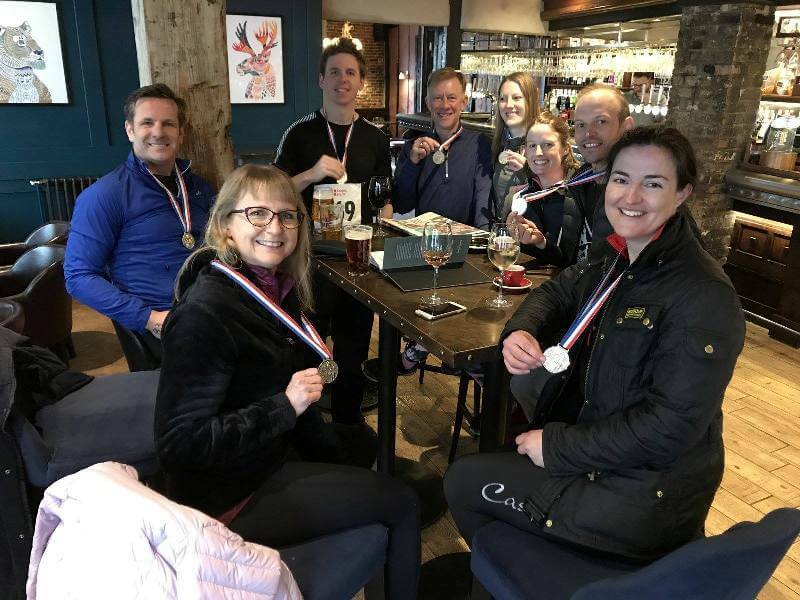 West Thames Cat 4 race – 29 May 2018. 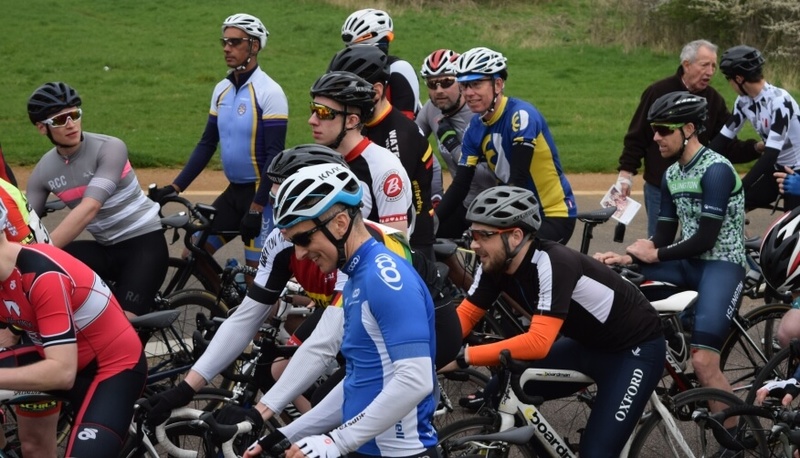 “The Hillingdon track continued to dry as the field of 25 riders battled a strong Northerly wind on the uphill climb. 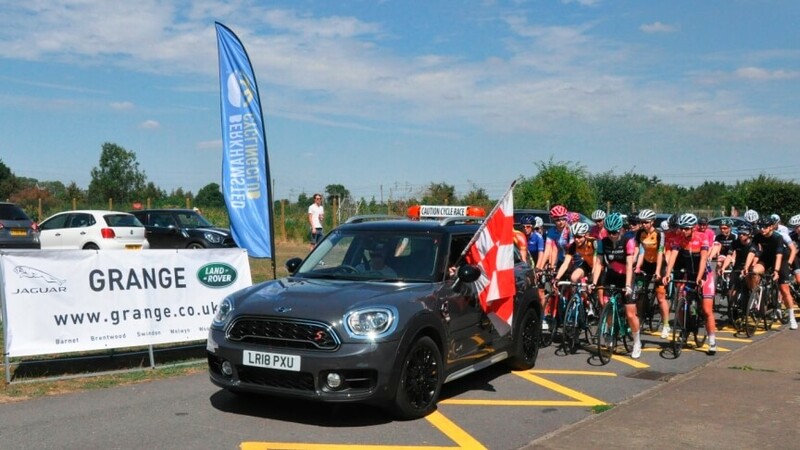 The breakaways came to nought as the pack controlled the race towards the bunch sprint finish. 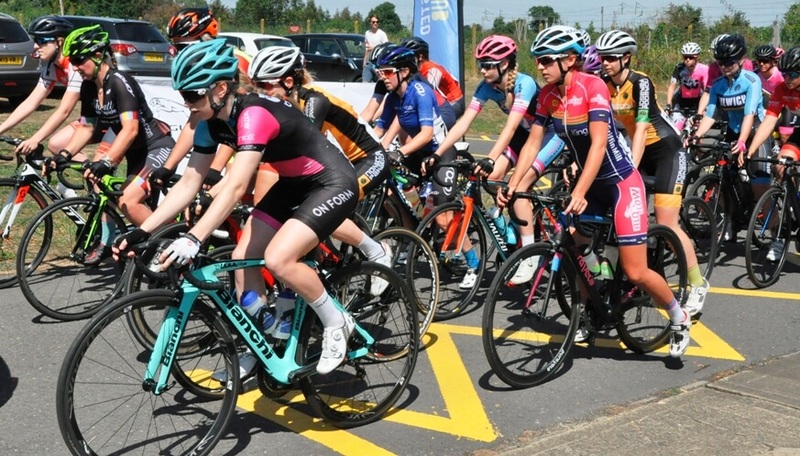 The pace increased with two laps to go and riders began to fall off the back. 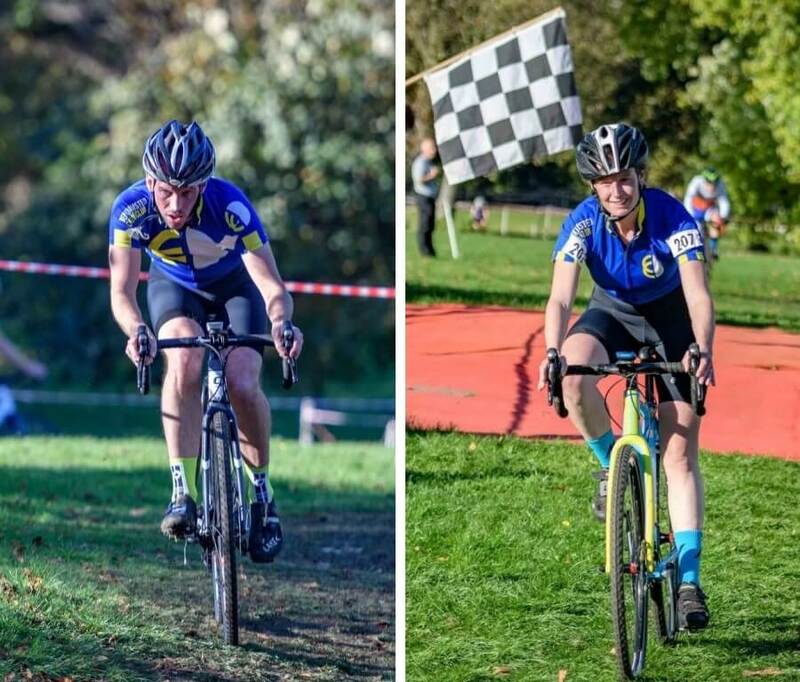 The young guns fought for position at the front and the sprint began as we entered the tight corners at the top of the track. 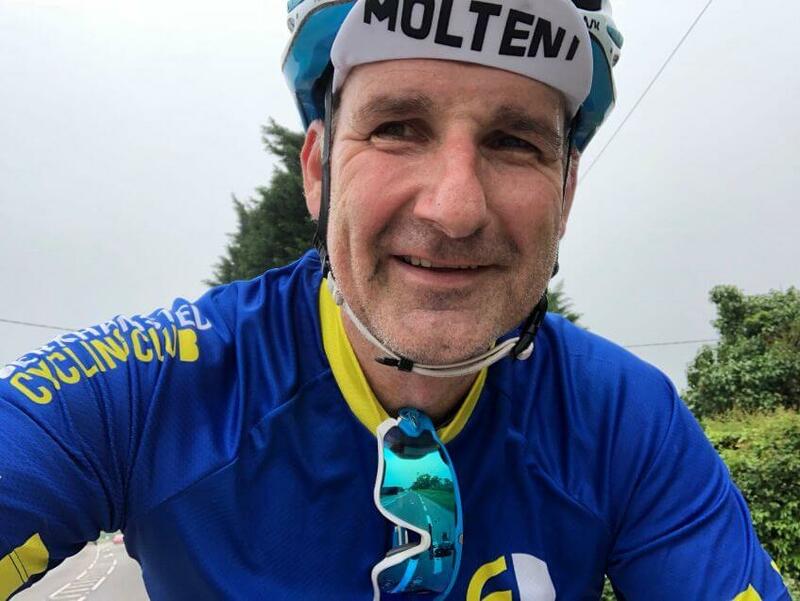 I cut inside two riders gaining some clear road and began the sprint, on the long left hander to finish line, gaining on eighth but not enough road. 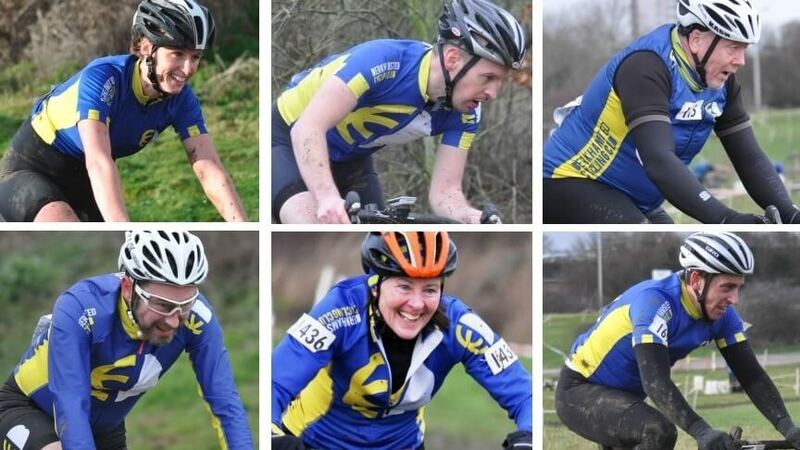 BCC currently rank 25th out of 63 clubs that have scored points in British Cycling Central League. A fantastic achievement for an all inclusive club. 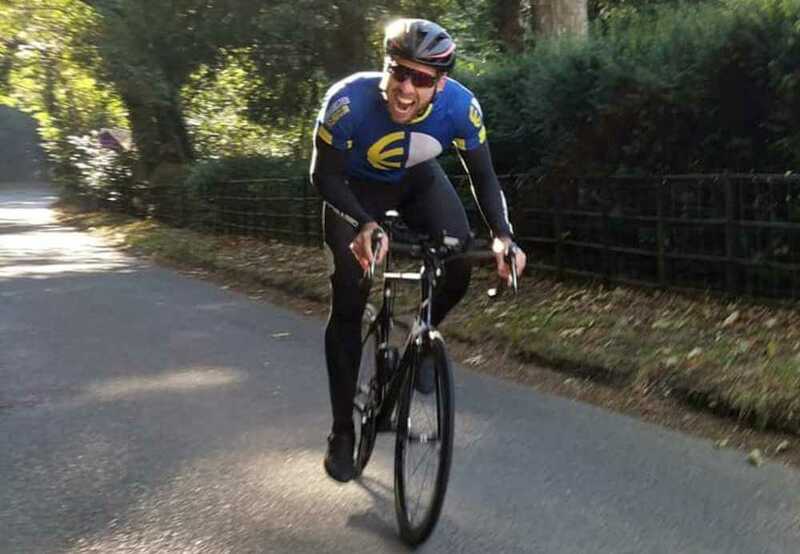 Julian completed the Lovelo 50 mile time trial at the weekend averaging over 20 mph and up against some full-on TT rigs. 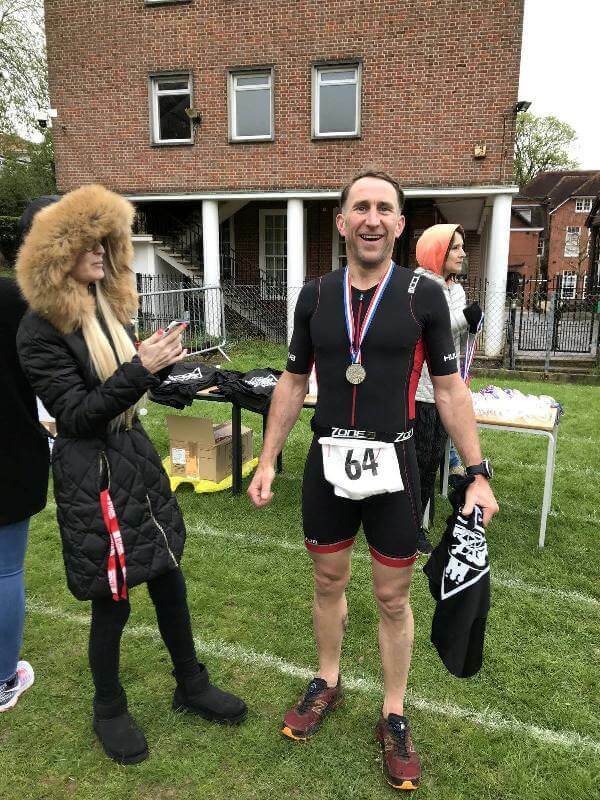 Marcin Białobłocki (ex CCC Sprandi Polkowice) won in a time of 1hr 34min 58secs – the third fastest 50 mile time ever! If your going to be beaten it’s better to be by one of the best in the world! 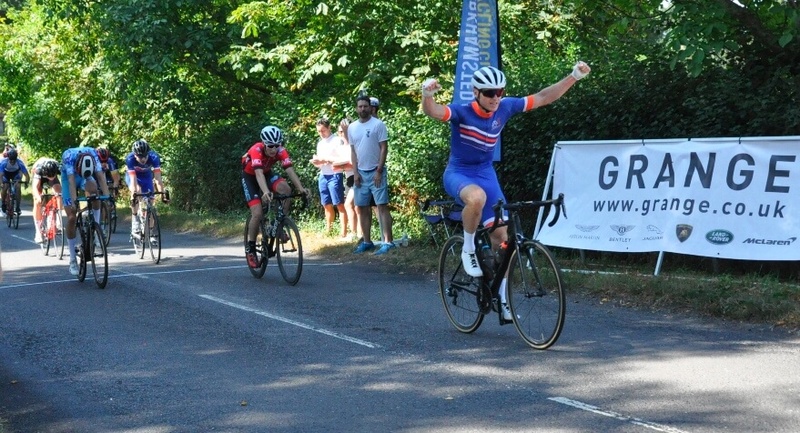 The Academy got it’s first win in a while as Matt finally put his knowledge of Hillingdon to good use and won the cat 3 race. 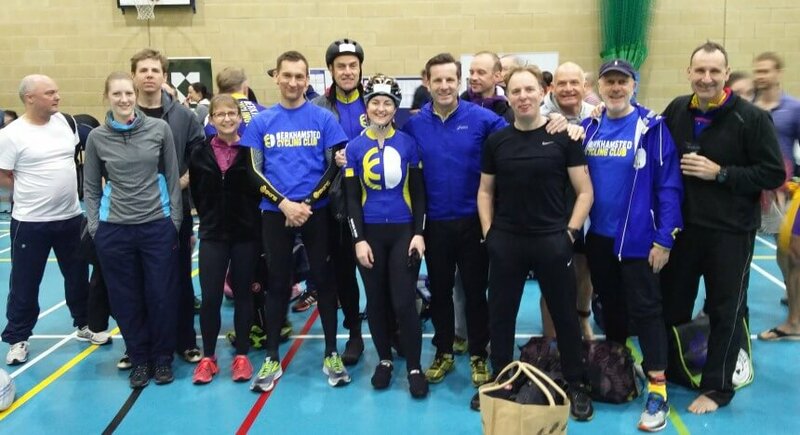 “Epic race and splintered all over. 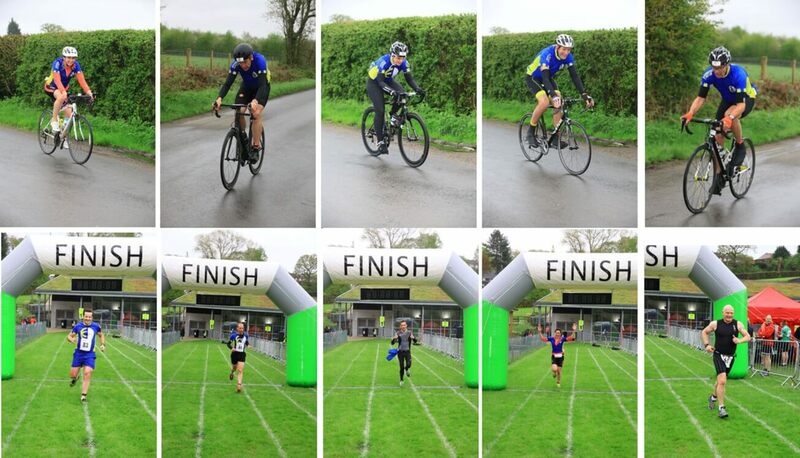 Brutal headwind in the finish straight but a breakaway of 4 went from the gun, then dropped 1 to become 3 out front. 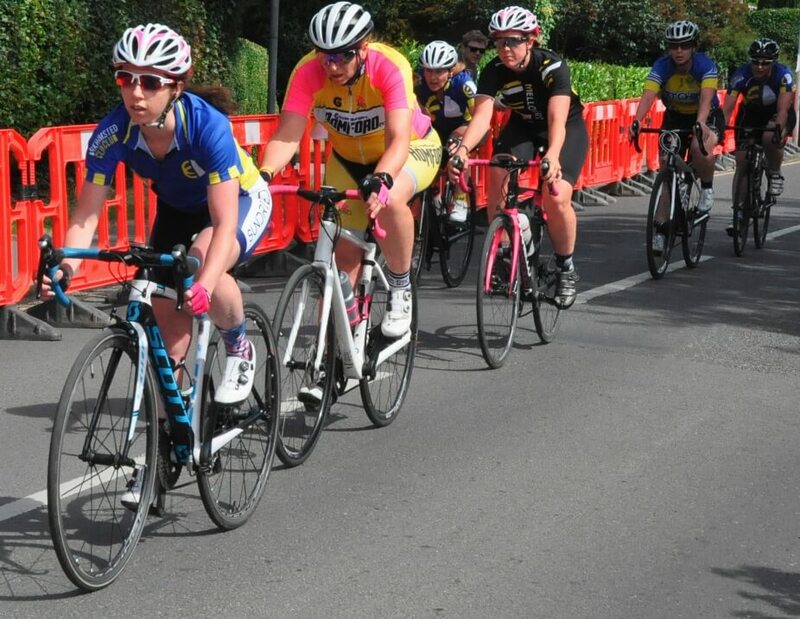 It seemed a strong group so I helped pace at the front but it was pedestrian and disorganised in the bunch and the gap got out to about 30 secs. 3 more guys jumped off the front and got a gap. 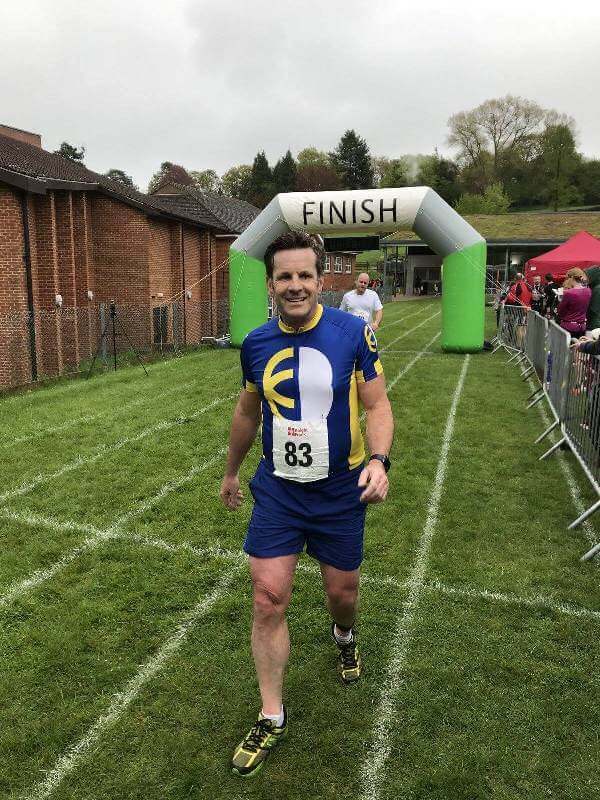 Shortly after whilst pacing at the front I actually found myself sort of rolling off the front and with a little gap of my own. Rather than sitting straight up I decided to steady time trial just to make them work to bring me back. 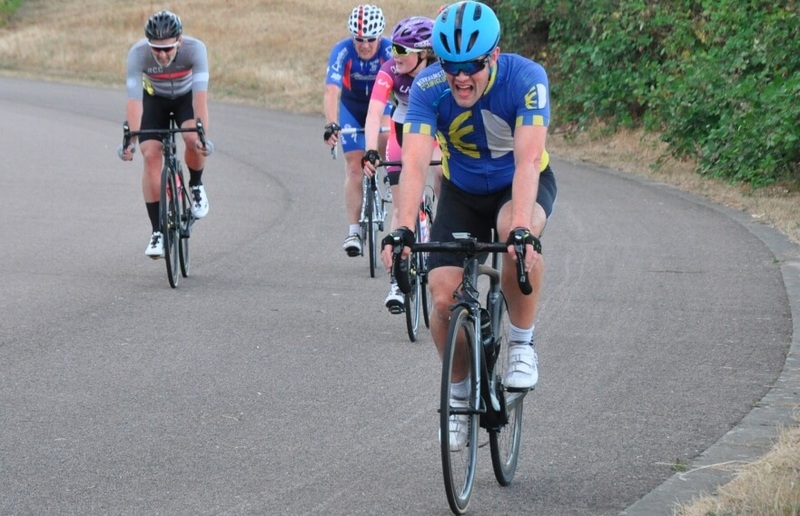 Then found a groove and found myself catching the 3 and growing the gap to the bunch. 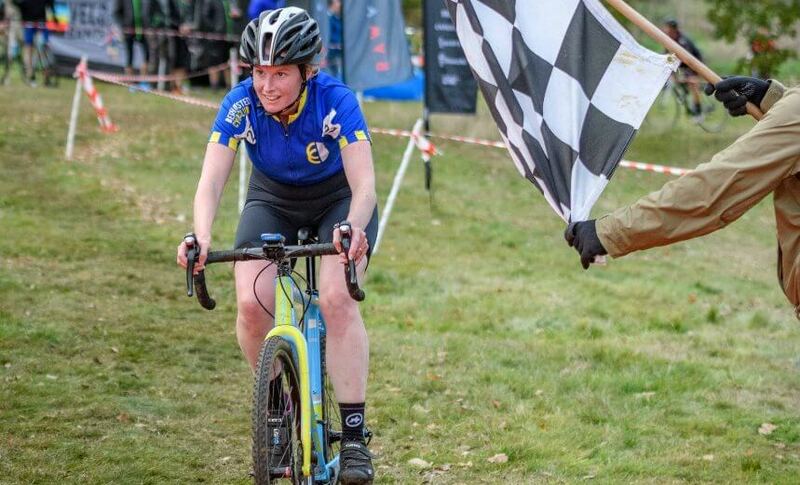 So I pressed on for about 4 laps solo in the gap, which was super hard – basically 600w intervals into the headwind each time up the finish straight, then trying to recover the rest of the lap whilst cornering as fast as possible. I was closing, closing to what had become 6 out front. Then just as I was starting to really suffer, the cavalry arrived in the form of 4 more attackers from the bunch. I managed to latch onto them and buy my way out of a couple of turns but then started pulling through with them. We rode really well as a 5 to catch the 6 ahead with about 3 laps to go. We worked together enough to hold off the now fast chasing bunch. 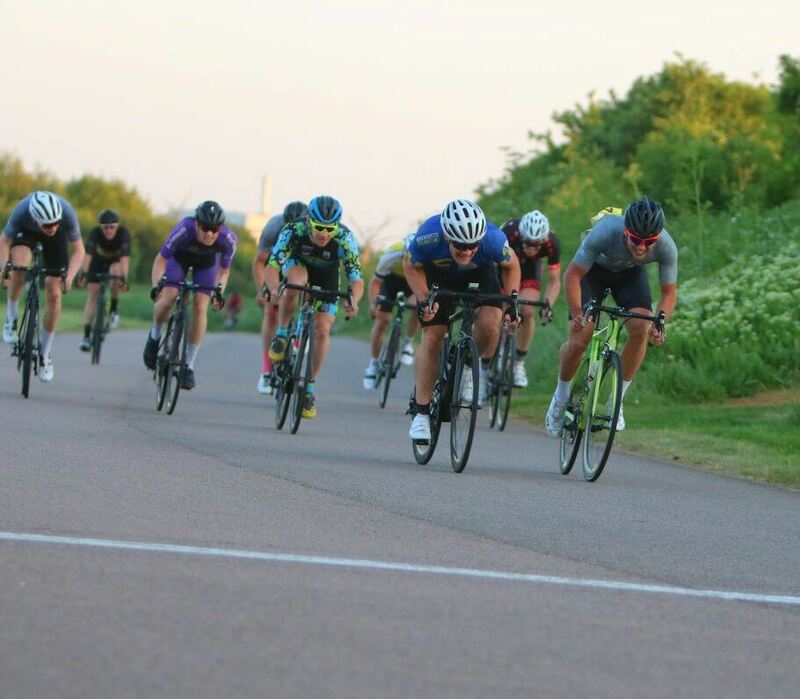 A guy tried to attack with the break from 1.5 laps out but we had him marked and so a joined up breakaway of 11 went together to the sprint. 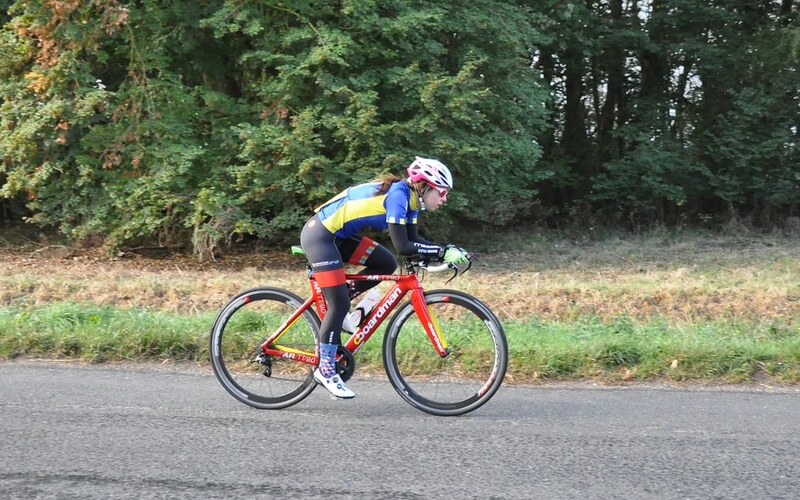 I got a great position and latched onto to the wheel of a strong guy who started his sprint with about 200m to go. 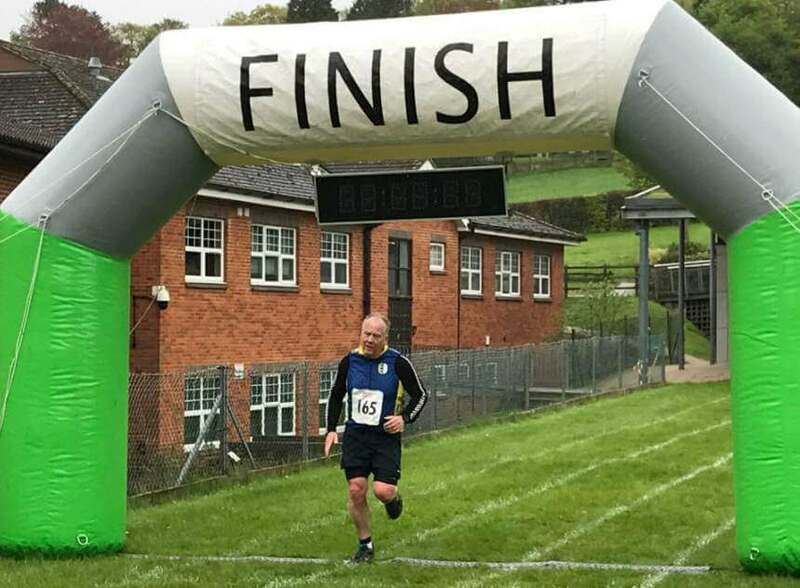 I knew I wanted to leave it as late as possible into the headwind and left it to the last 75m before I moved to come round him and made it just before the line. 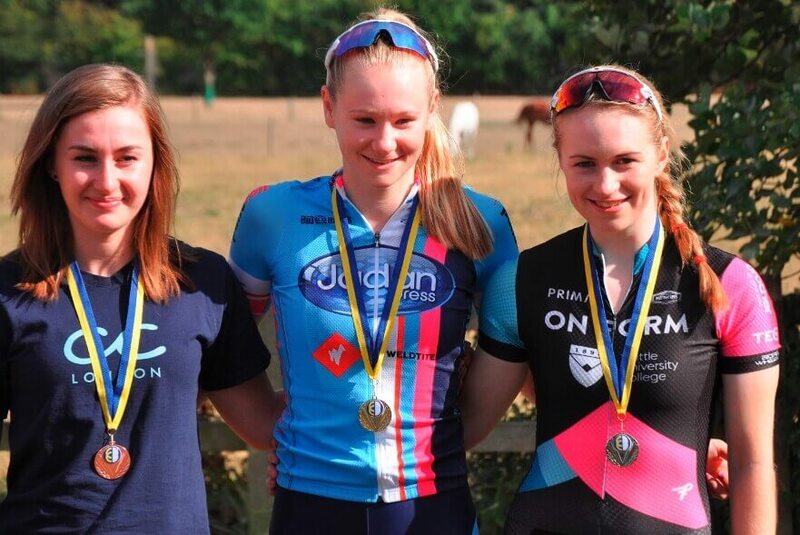 Other Academy racers were competing in crit, TT and road race events. 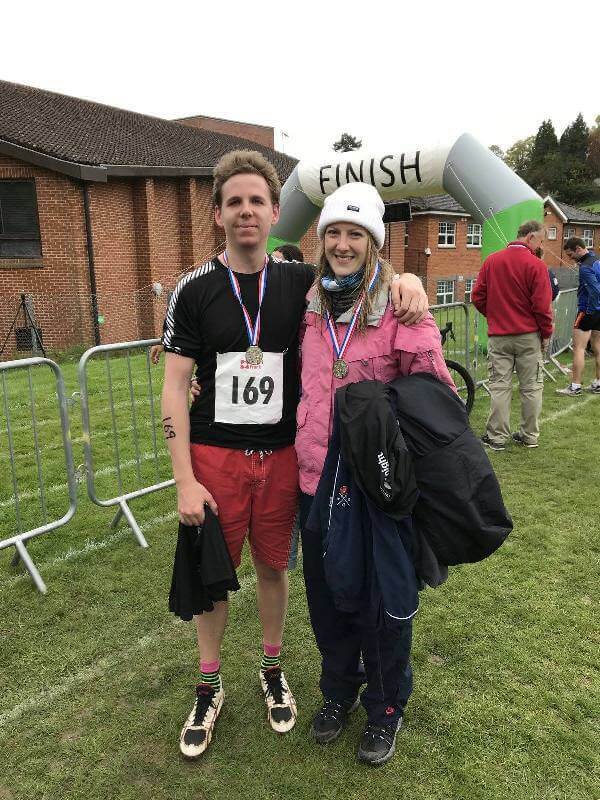 James and Matt at the Verulam – reallymoving Road Race on 20th May. Matt punctured with two laps to go and despite a huge effort to re-join the bunch the pace was to high. 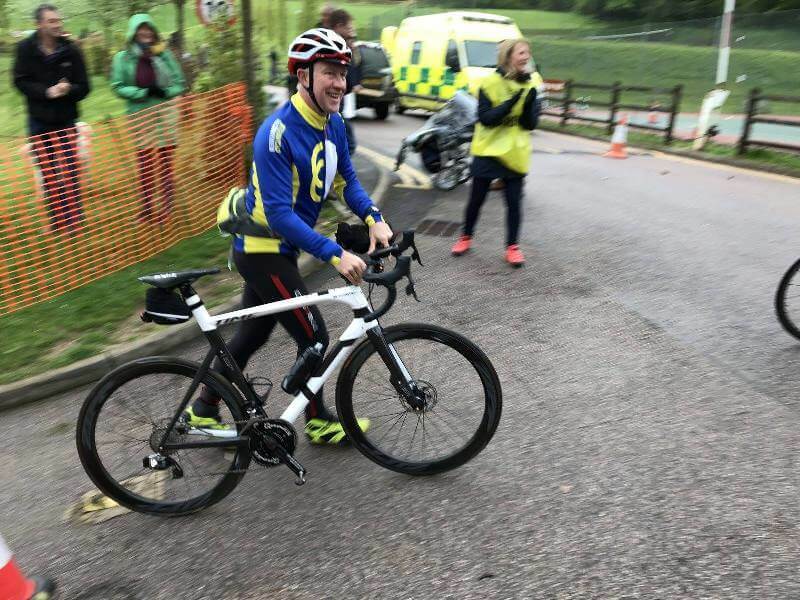 James found the brutally high pace difficult to maintain; 45mph down the descent, into walking pace / gravelly bend into sprint, into 30mph back to the turn, up and over Mentmore and repeat x15. 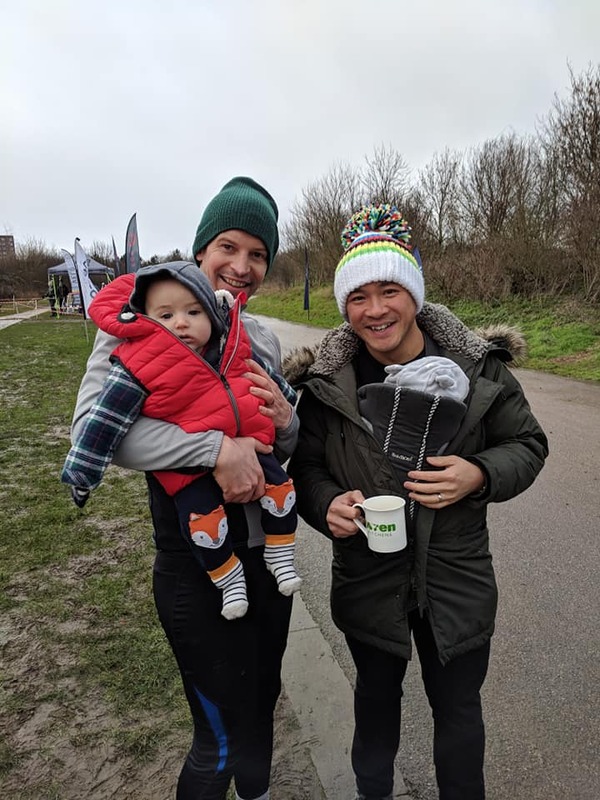 Both were very appreciative of the support from club members on the course. 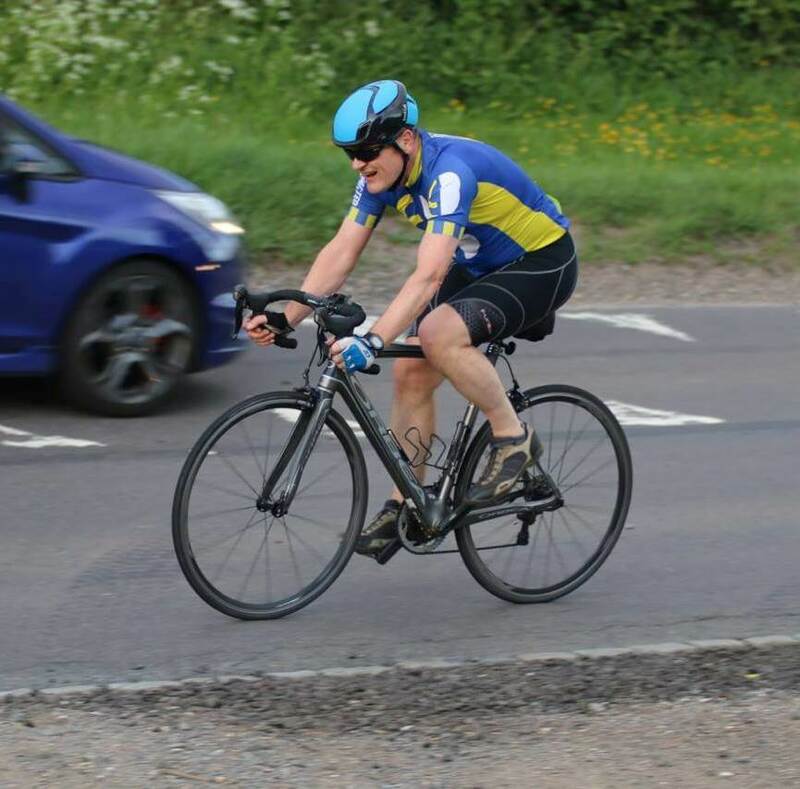 James also competed in the Hitchin Nomads 25 mile time trial on May 19th finishing mid-field. 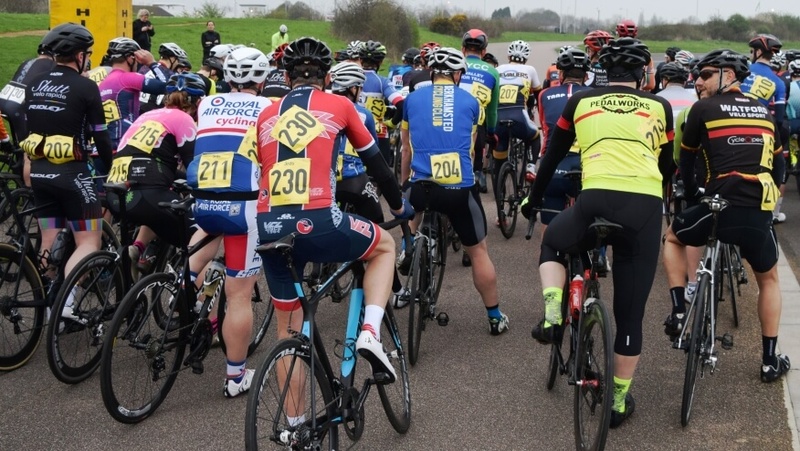 Jack raced in the Somerset Road Club cat 4 crit at Torbay Velopark on May 19th. A hard race and he stayed with the bunch until the last lap. 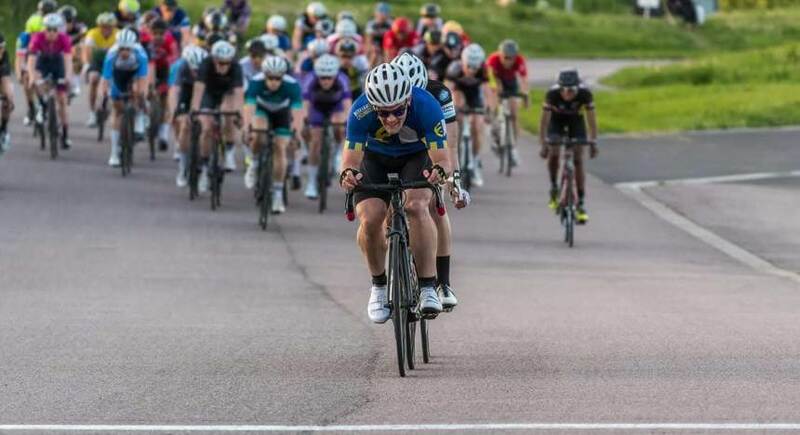 He also competed in the Milton Keynes Bowl cat 4 crit race on May 24th and was in with the bunch sprint until 400 meters to go when Jack had to break hard to avoid an incident. Jack is improving race-on-race and it’s only a matter of time before he’s in the points. 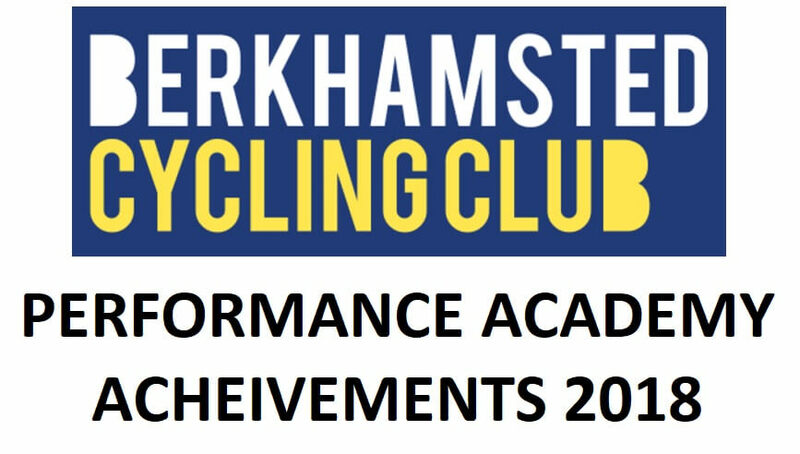 Another active week or so for the Performance Academy with racers competing in TT’s, crits and road races. 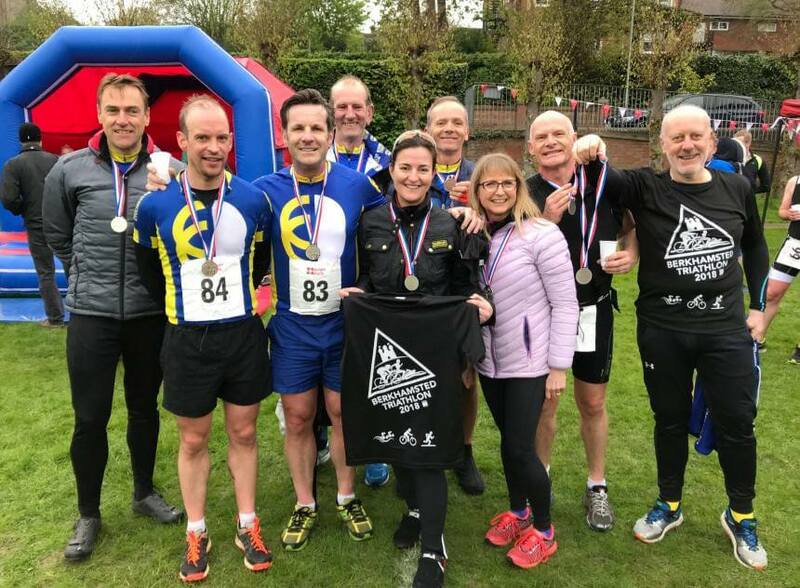 Firstly if you want to get involved with racing click here for details of our Berkhamsted Castle Revolutions Festival on Sunday 24th June 2018. 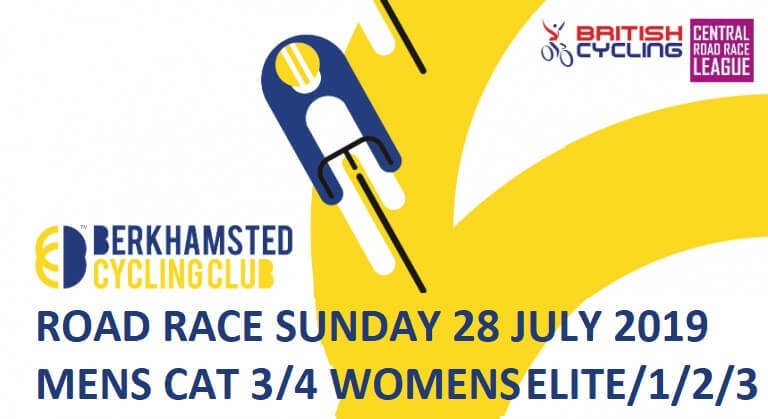 It’s going to be a fantastic day of racing from youth, novice through to full-on category races for men and women. 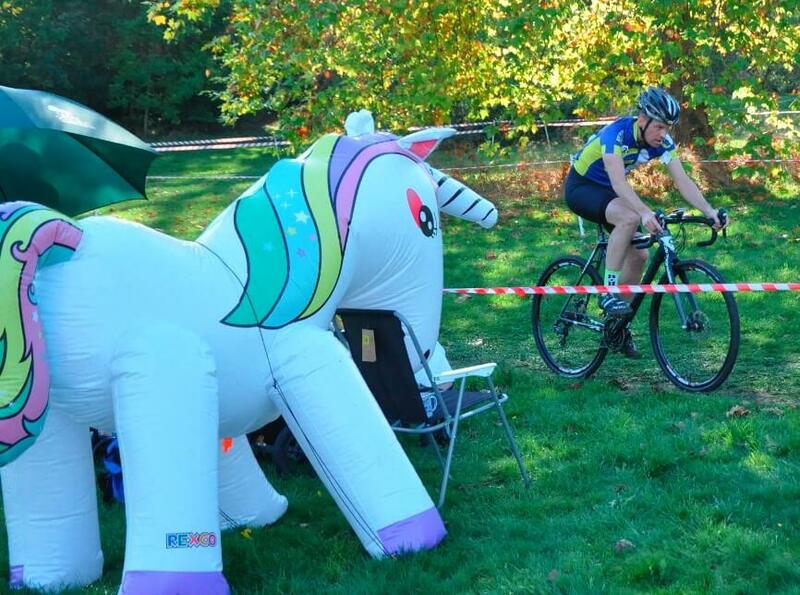 There will be lots for the family to do including closed road riding for everyone and entertainment in the castle grounds. 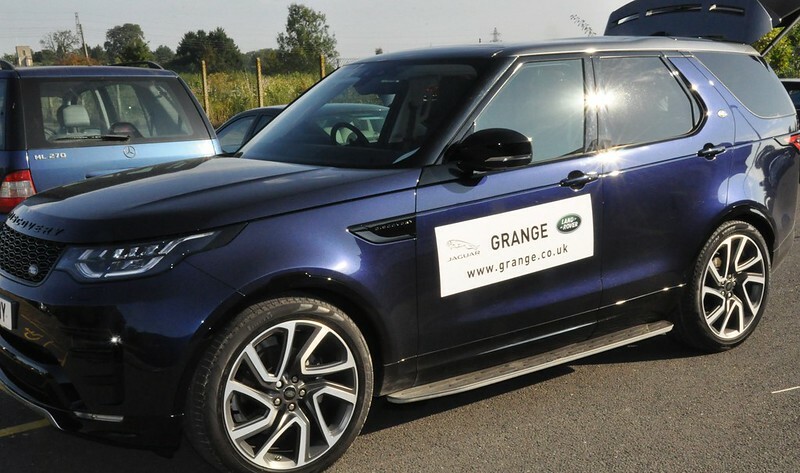 David, James and Julian were in action at the Antelope 3-up 50km team time trial in Chalgrove, Oxfordshire. 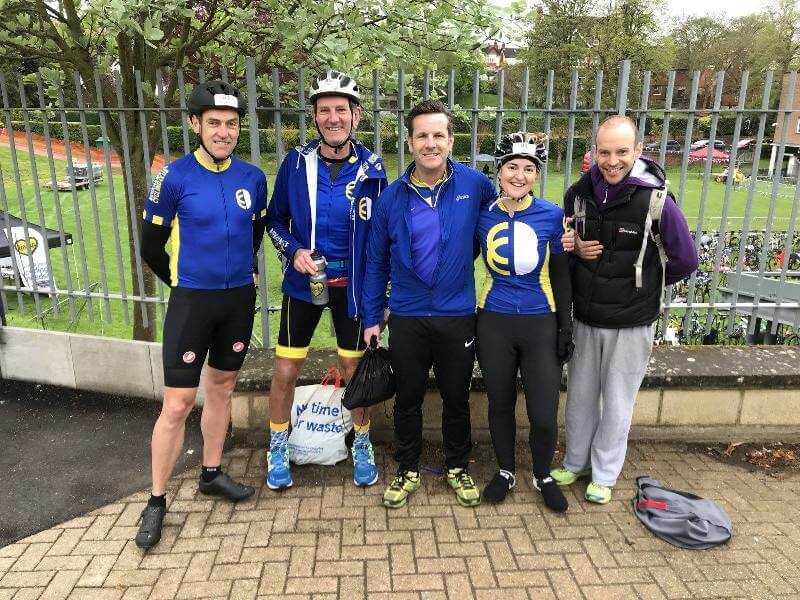 They finished in 1hr 27min 42secs averaging over 21 mph. 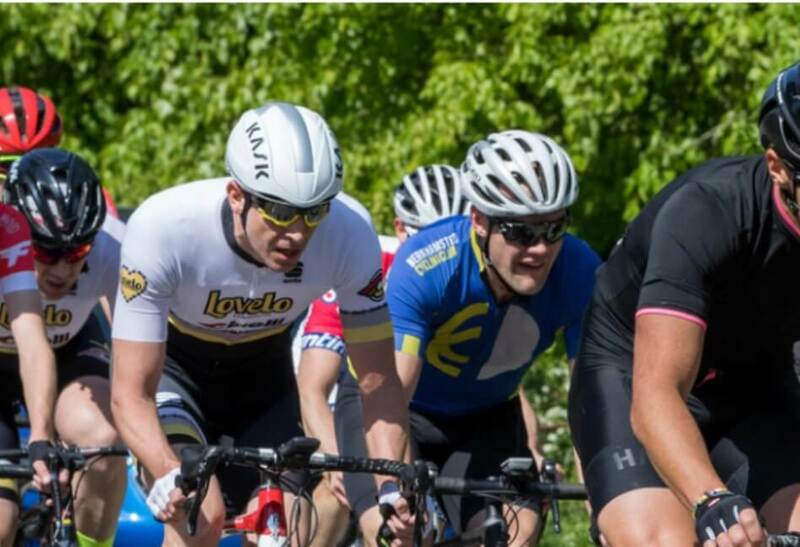 Matt competed in the Thames Velo road race and finished 11th averaging over 26mph for the 50 mile race. 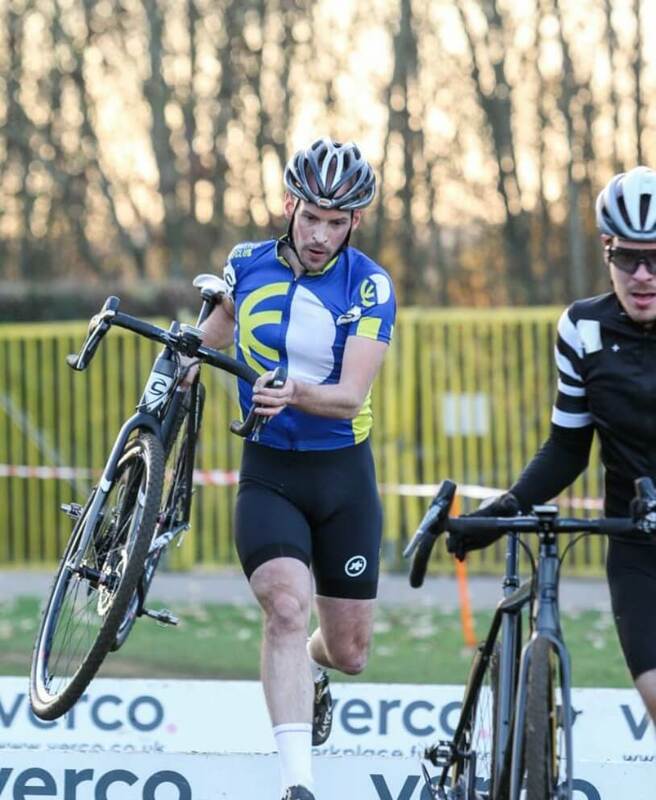 He felt that he could have placed higher but was slightly out of position for the sprint. 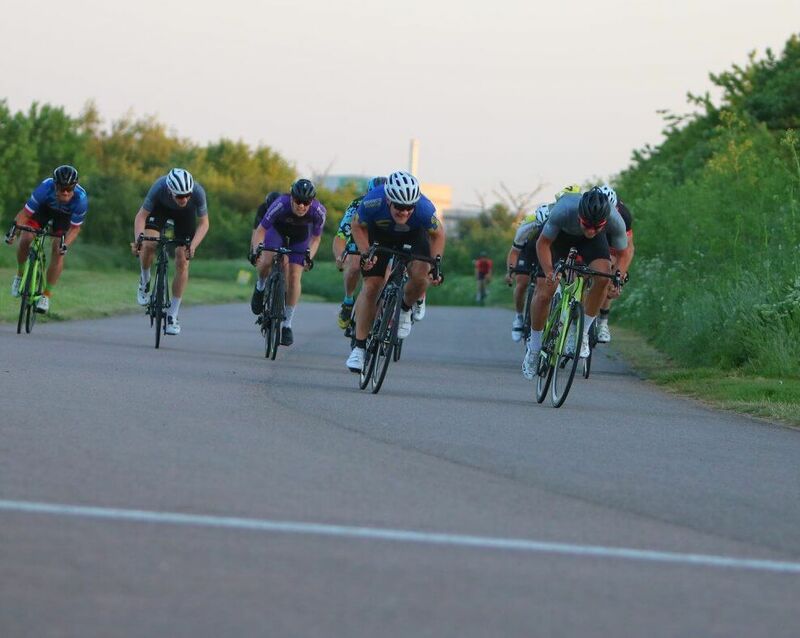 Matt was also at Hillingdon crit finishing 8th in the cat 3 race, unfortunately again boxed in for the sprint. 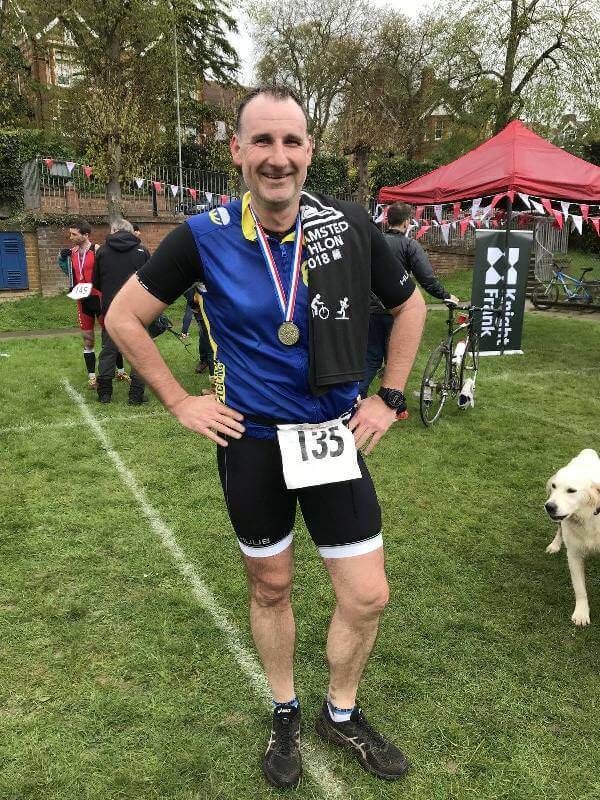 He competed in the Hemel Hempstead CC weekly 10 mile Time Trial on the 3rd and 10th of May. 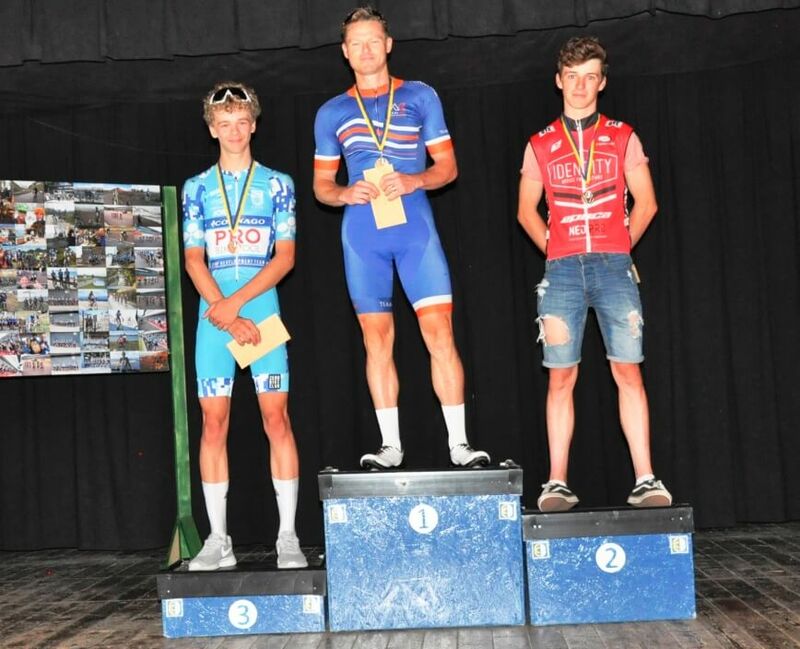 He won the former on a road bike and finished 3rd in the latter! 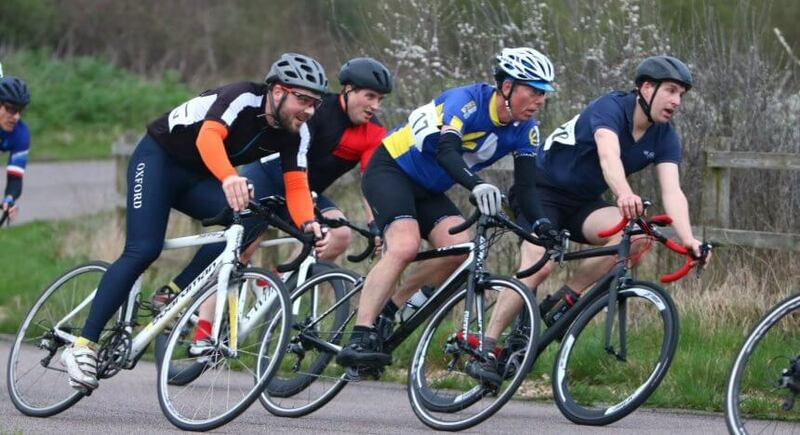 Paul and Trevor also raced in the HHCC 10 TT on 10th May and both thoroughly enjoyed themselves. Setting a bench mark to improve on over the summer. 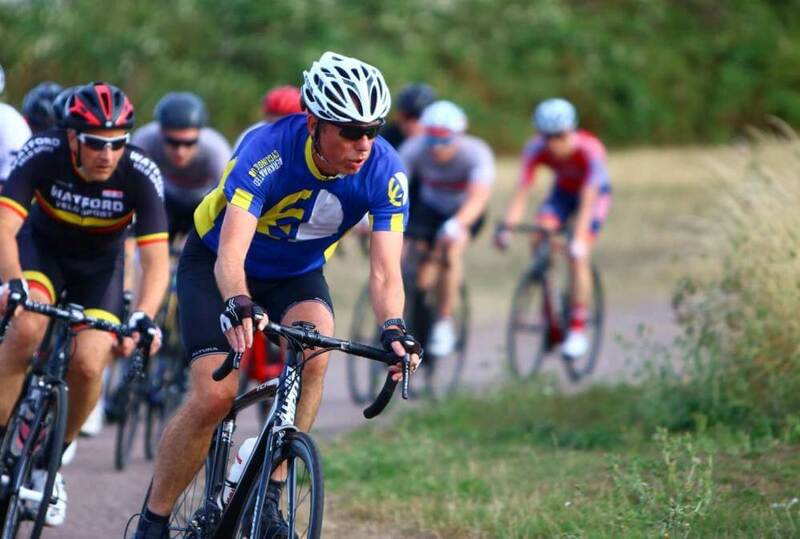 Richard raced at Hillingdon in the cat 4 race finishing in provisional 15th place. Learning all the time and improving race-on-race. 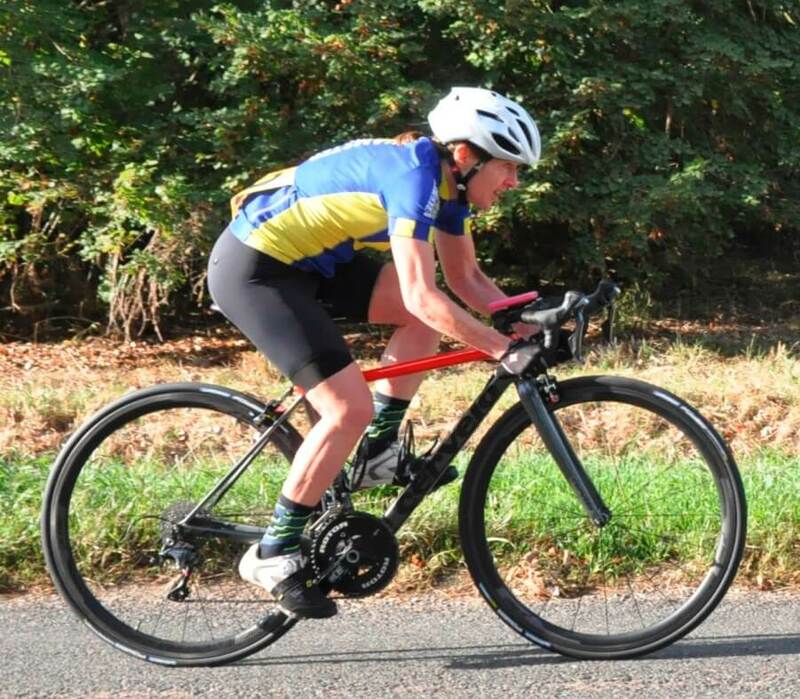 James raced the London Phoenix 9 mile TT finishing in 11th place with a time of 22min 42secs averaging over 24mph. 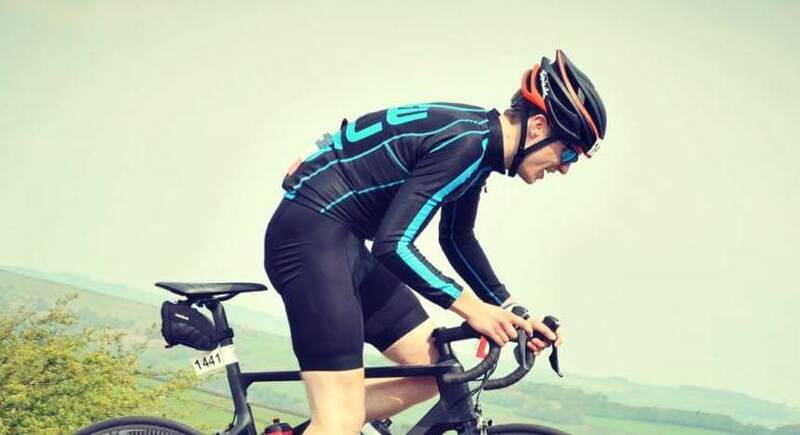 James was 1st on a road bike beating lots of full-on TT rigs! 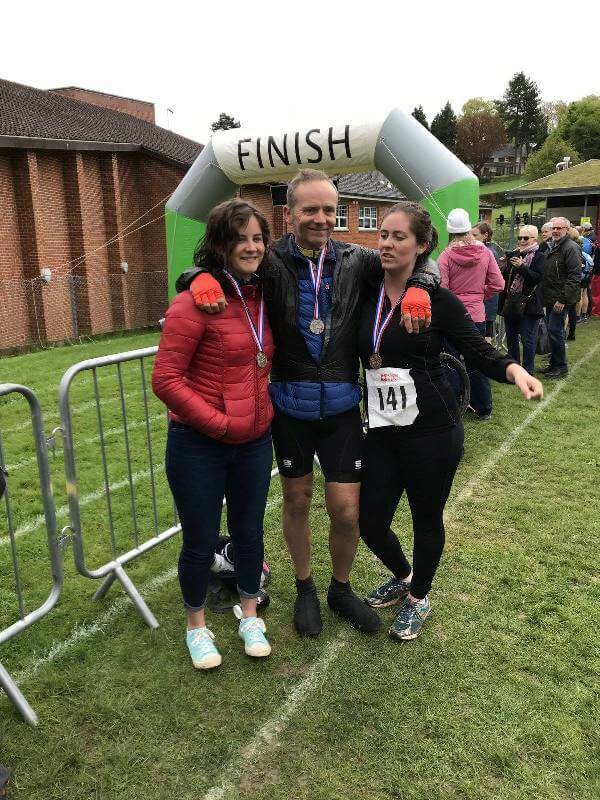 BCC’s Matt Buckle has enjoyed a successful week, picking up a win in the Berkhamsted triathlon last Sunday, in which he rode the cycling leg in the winning relay team. 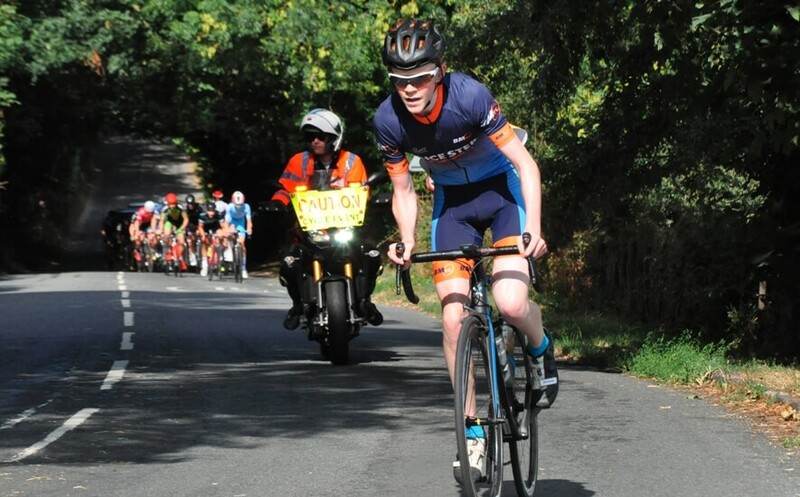 In that race Matt’s time was just eclipsed by fellow BCC member, Simon Pearce, who claimed fastest time of the day, the pair just beating ex-BCC man, Matty Earles. 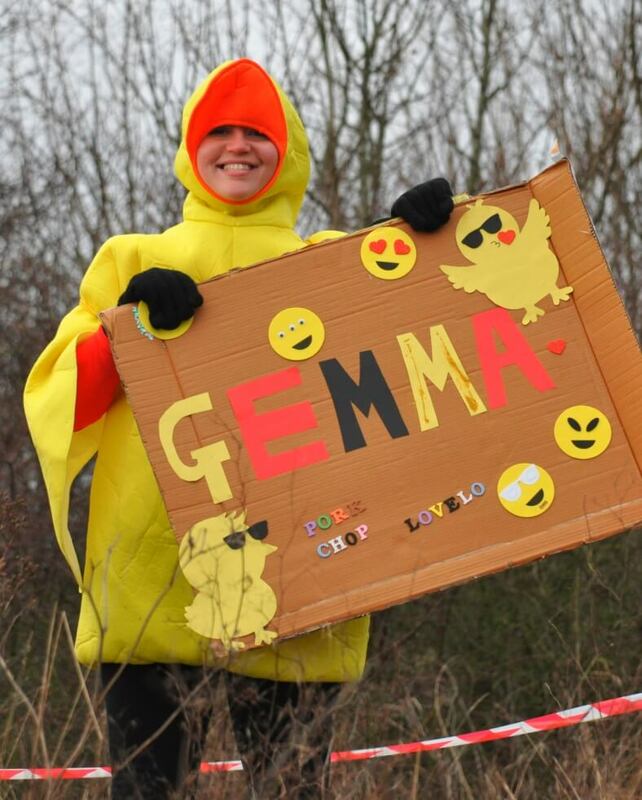 Overall, it was a great day for the club. 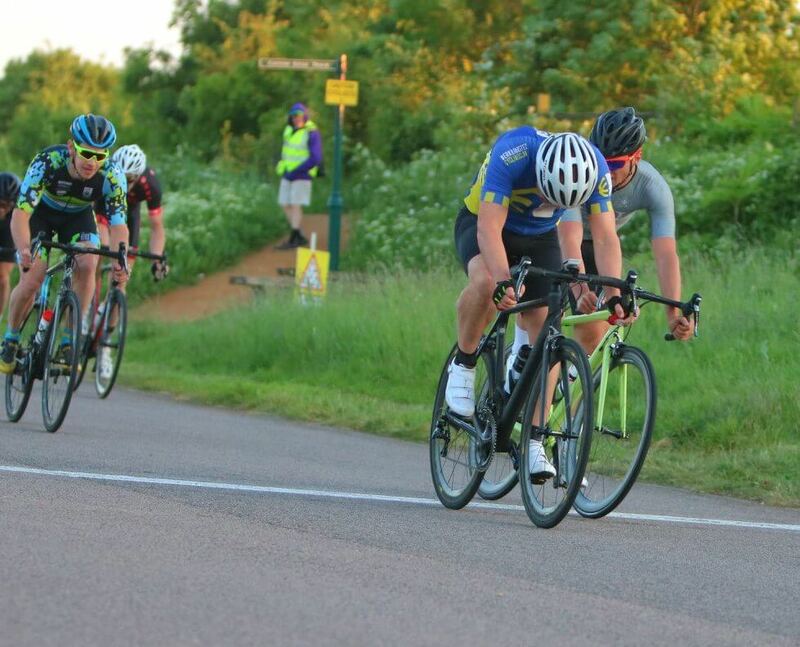 Matt followed this victory with a win in Hemel Hempstead Cycling Club’s Thursday evening 10 mile time trial. 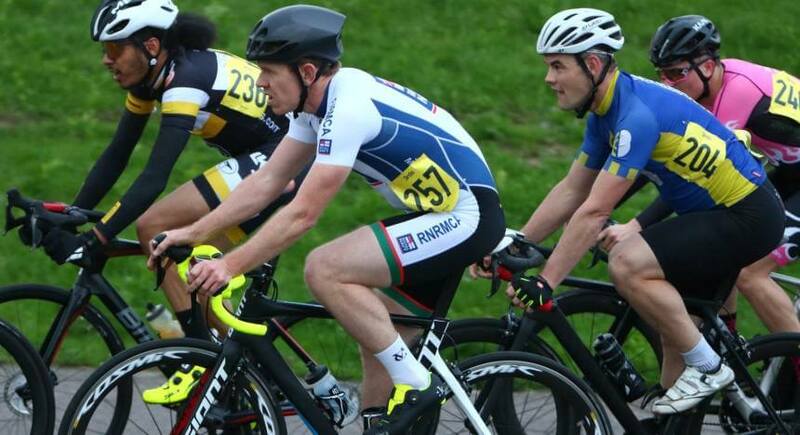 James Taylor was racing on both days of the weekend, again. 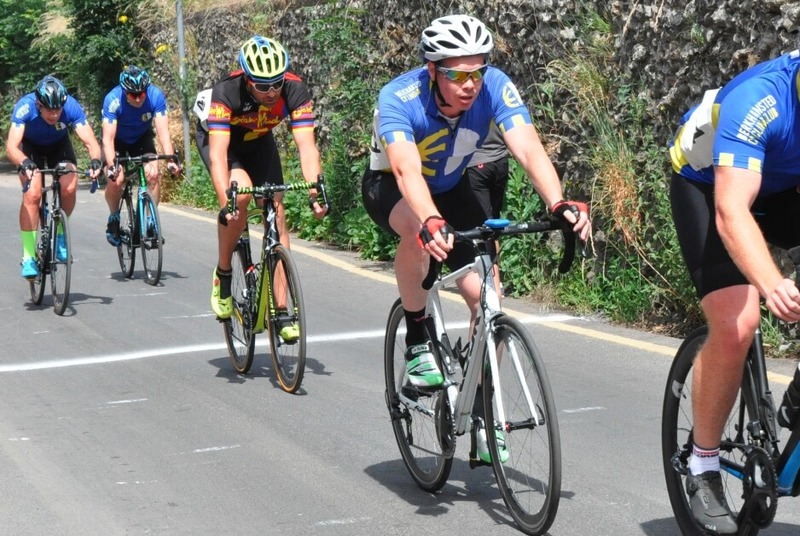 He has rapidly moved from a Cat 4 rider with no points to a Cat 3 racer. 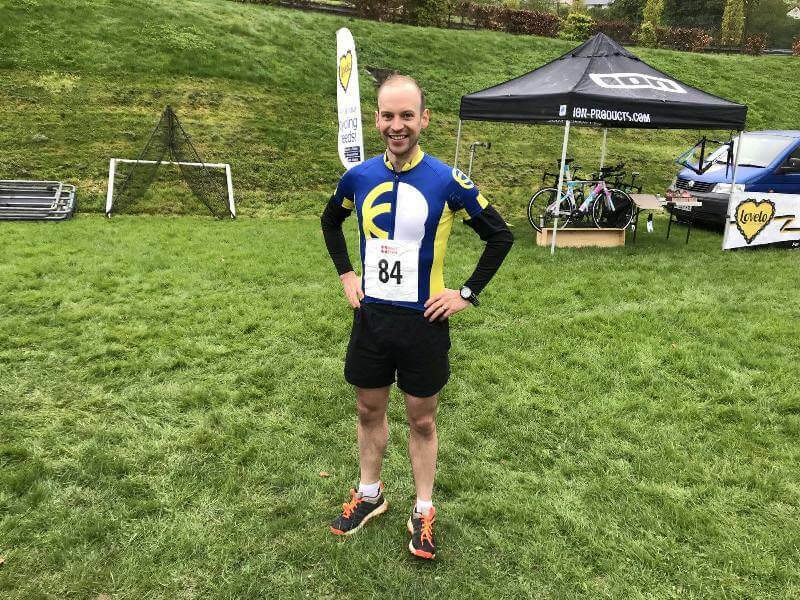 That impressive fact apart, he is now ranked 113th best time trialler in the country! Read about his spectacular performances below. 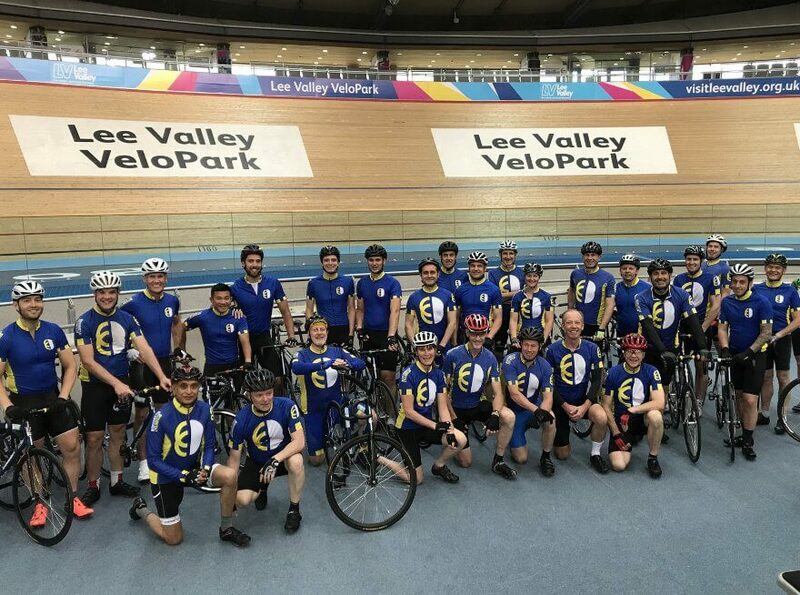 After managing to navigate through the back streets of London, I turned up at the Lee Valley Velopark ready for my third race of the season. 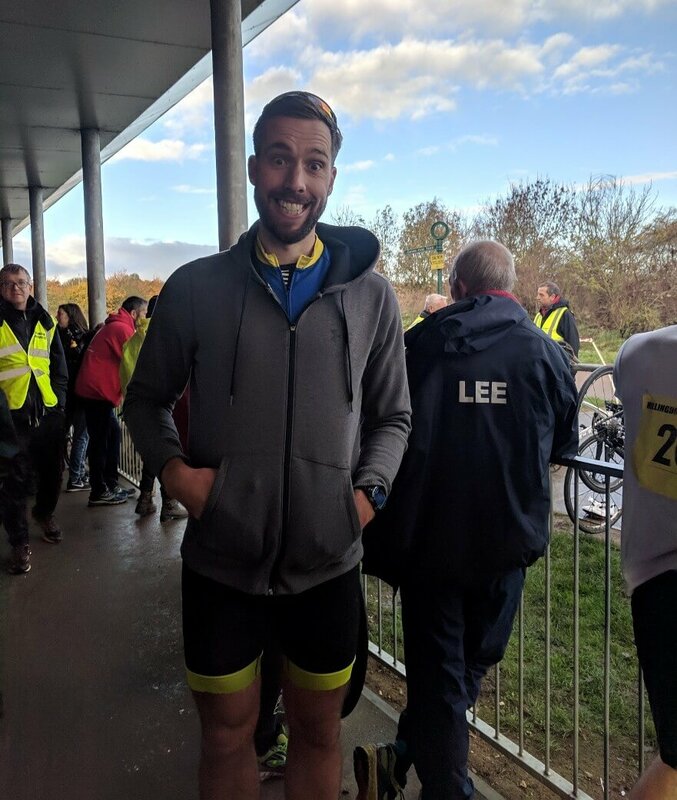 I had been given number 13 for the race, perhaps it would be lucky for me. 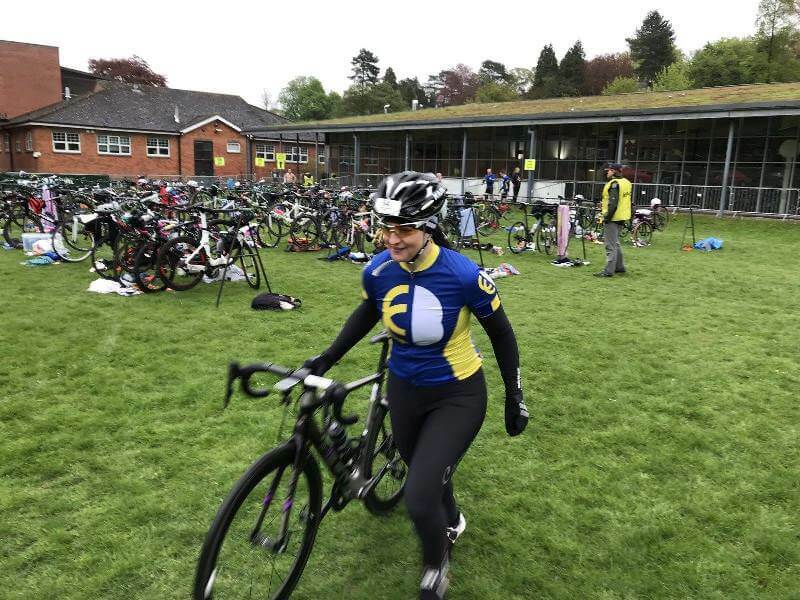 Having never ridden the track before, I had one neutralised lap to learn the course, fortunately the first few laps weren’t very quick so I got a bit longer to familiarise myself. 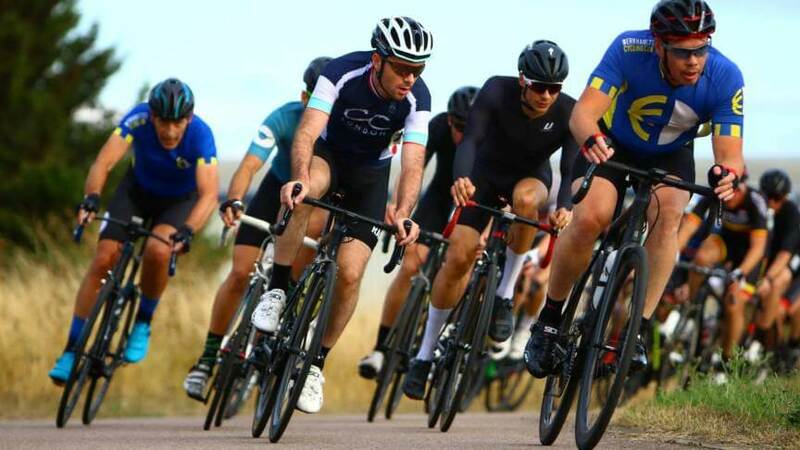 Adopting the Steve Cummings role of sitting on the back of the group conserving my energy, I watched as multiple breaks tried and failed to get away due to the strong headwind on the finish straight. Only once did I have to chase back on when not concentrating while having a drink. Now I had to decide when was best to make my move. 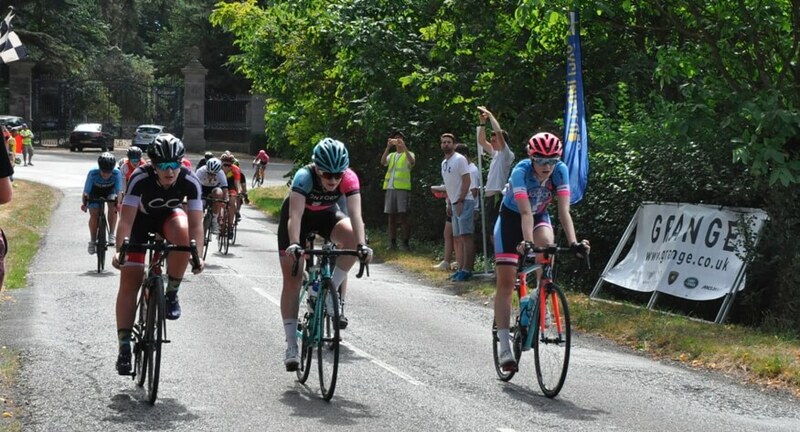 With 5 laps to go a small break went off the front and pulled out a decent lead. 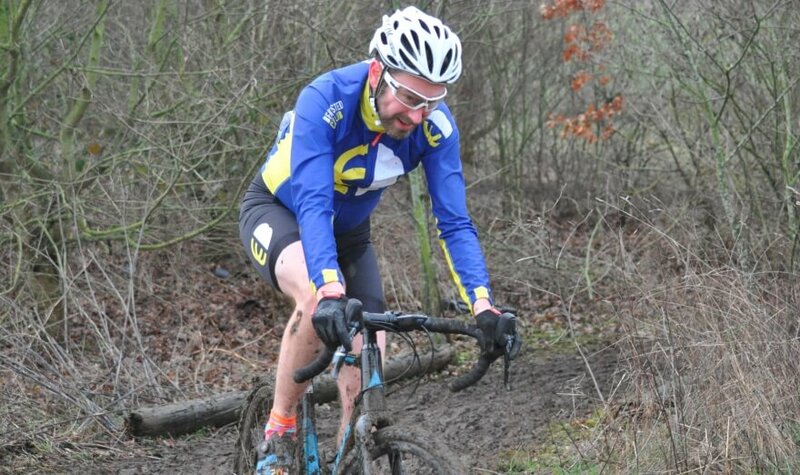 Looking like the break could stay away this time I made my move at the start of the next lap. As I attacked I checked back to see if anyone else was joining me, but nobody was. 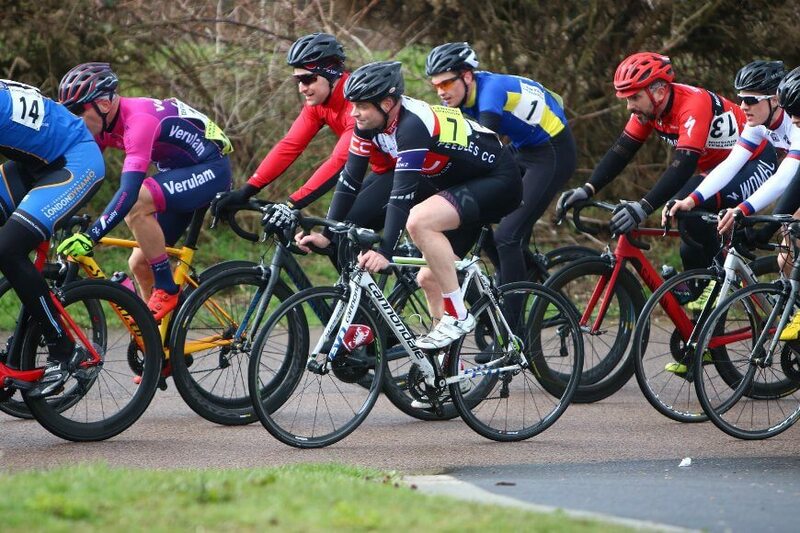 Within half a lap I had bridged the gap to the front three and then tried to recover on the back of the group. With three laps to go I checked back again and the main bunch were beginning to close the gap so I moved to the front and upped the pace. With two laps to go I looked back and we had a decent lead again, meaning it would be a race between us for the win. 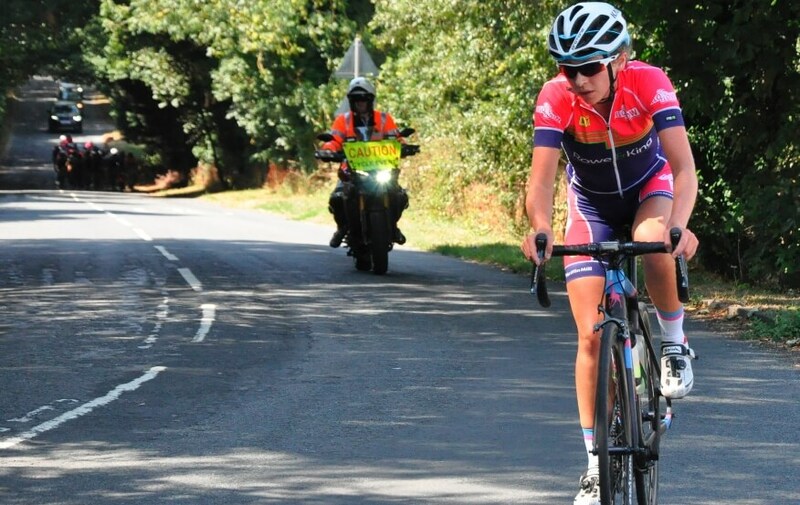 Not wanting to get boxed in for the sprint like last week, I decided I would start my sprint early. 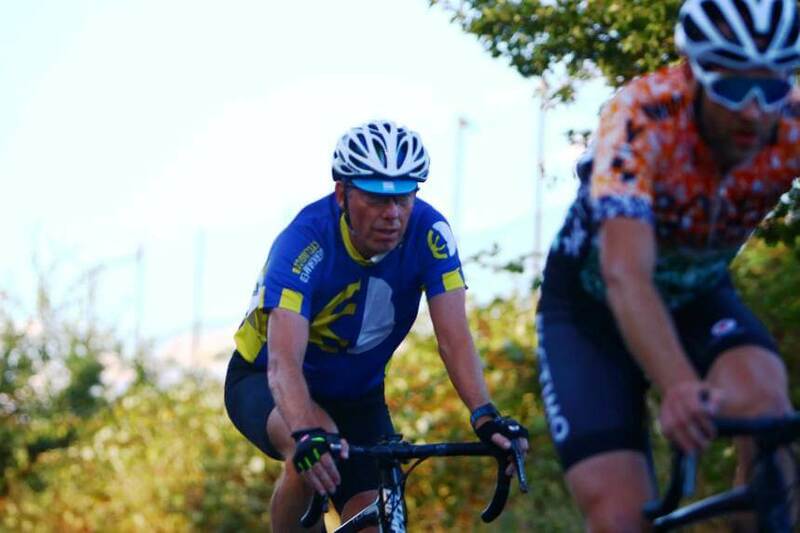 As we rounded the final bend, I put the hammer down, topping out at 1,359 watts, sprinting for the line. 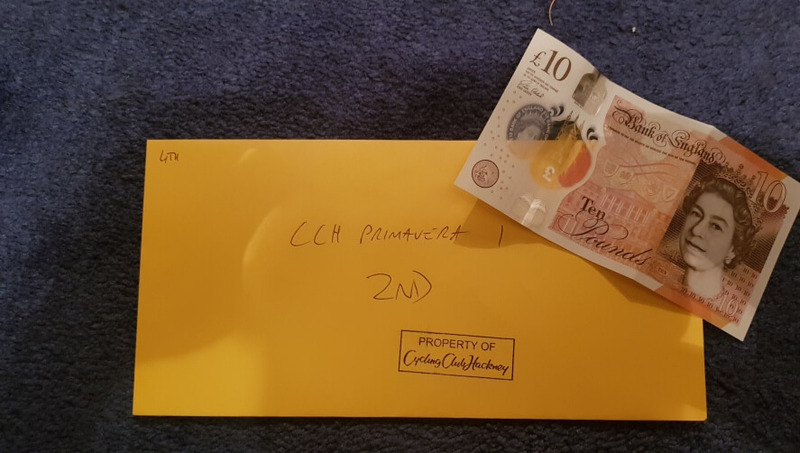 Unfortunately I was pipped on the line, and finished in 2nd place earning 8 BC points. 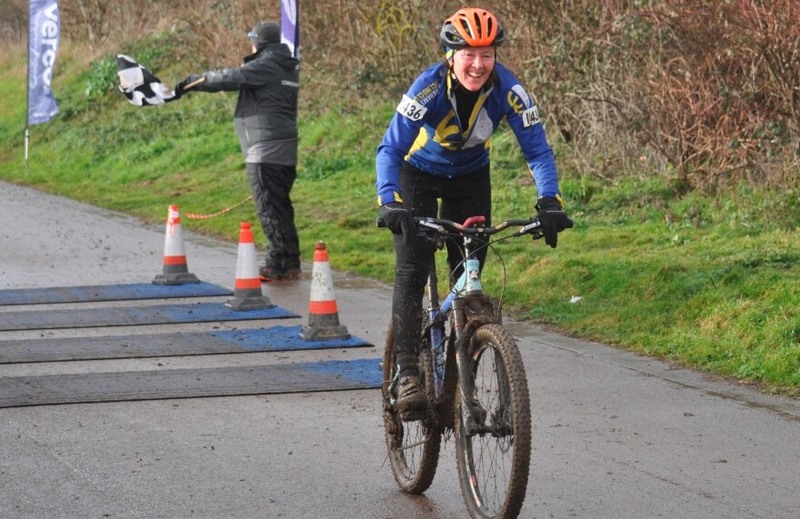 This makes my total for the season 12 points and enough for my Cat 3 licence! Looks like number 13 was lucky for me! 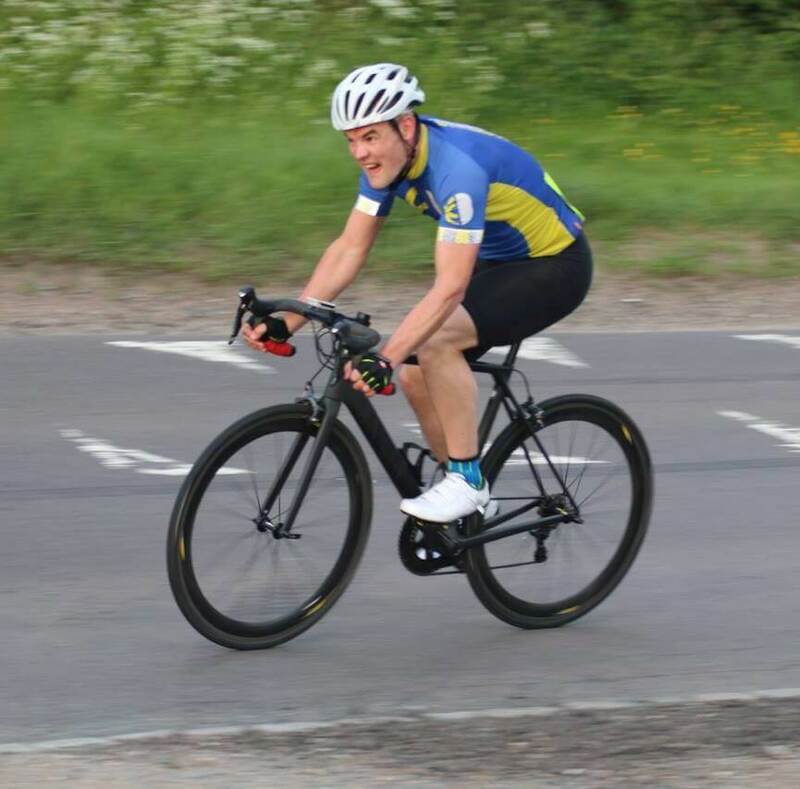 Richard Metcalfe also raced and stayed in the pack for the majority of the time but the surges in pace brought about by the attacks were to much and Richard finished safely near the back of the peloton. 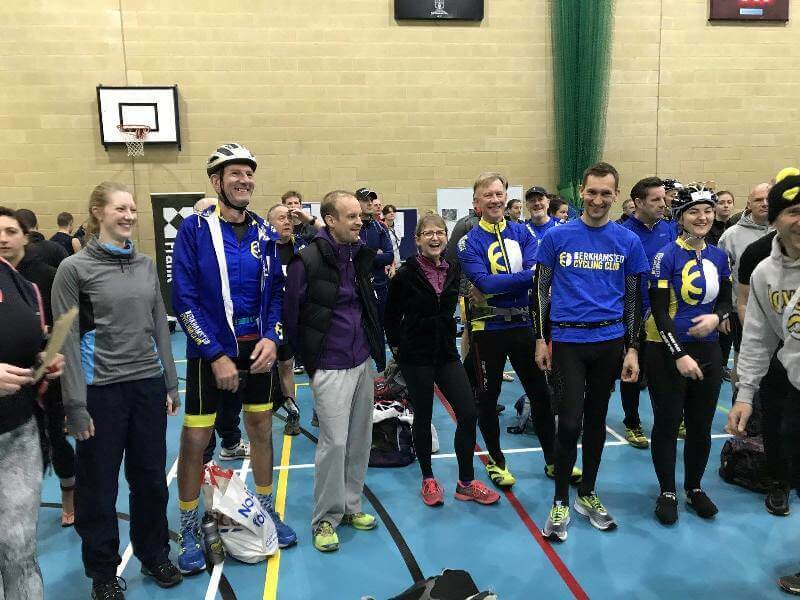 With heavy legs I rode over to Cheddington village hall on a drizzly Sunday morning. 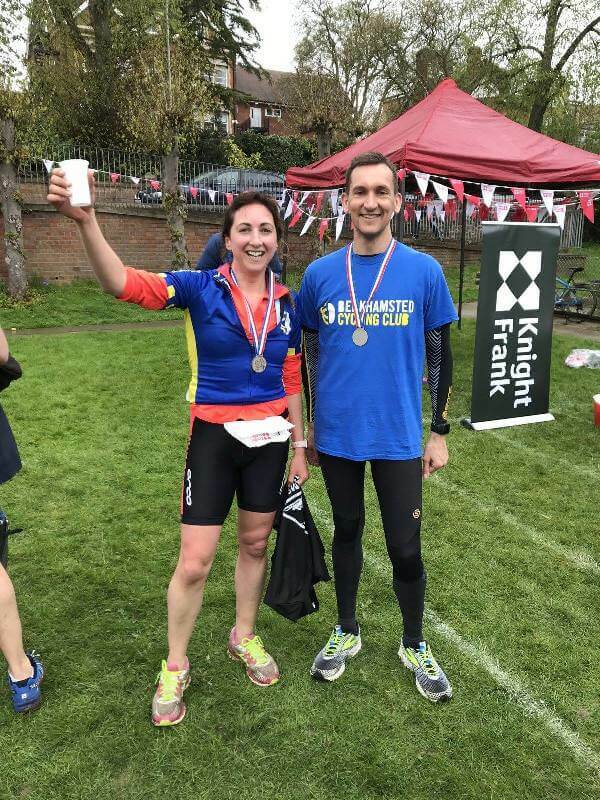 The course was two laps through Mentmore via Wingrave, 30km in total, fortunately for me much less hilly than last week. 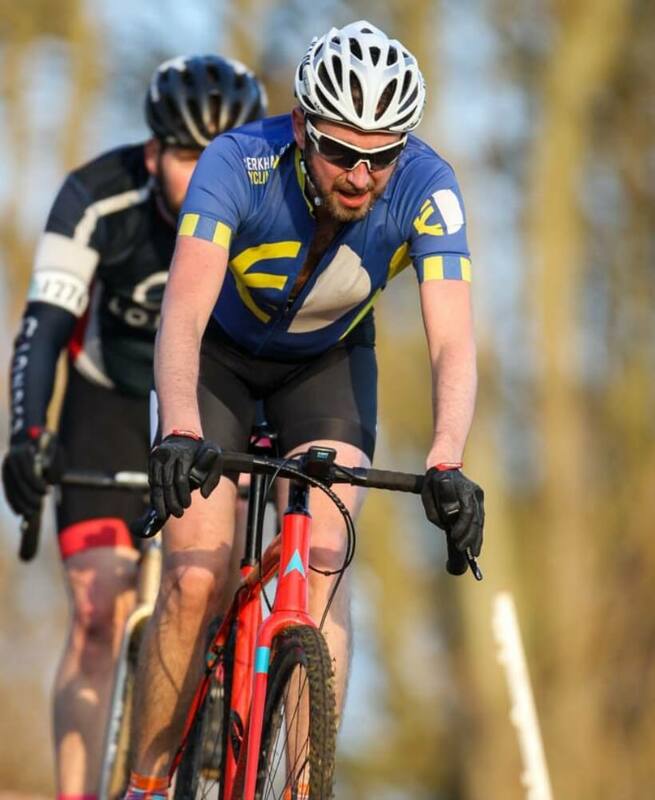 I settled into a decent rhythm on the first lap, but as I started the second my legs began to tie up and I struggled to keep the power down. Only another 20 minutes of suffering! 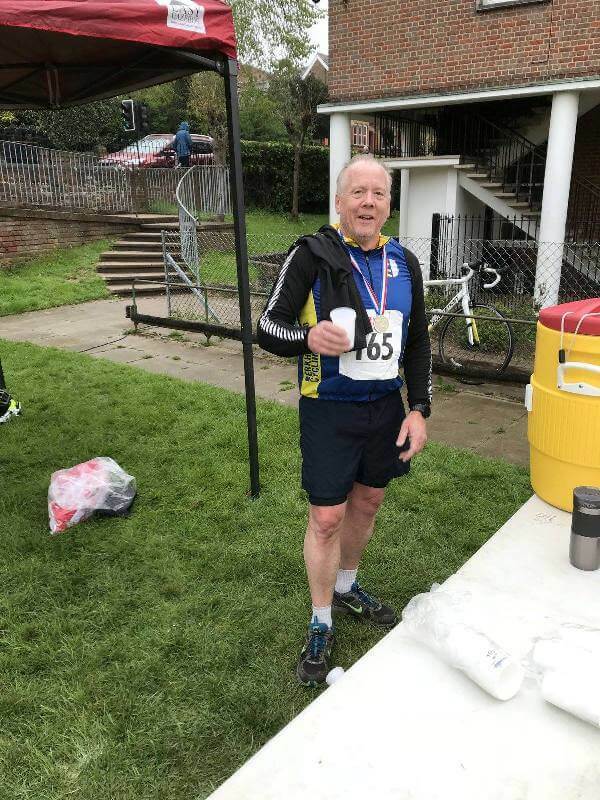 I finished with a time of 50:50, which placed me in 6th overall. 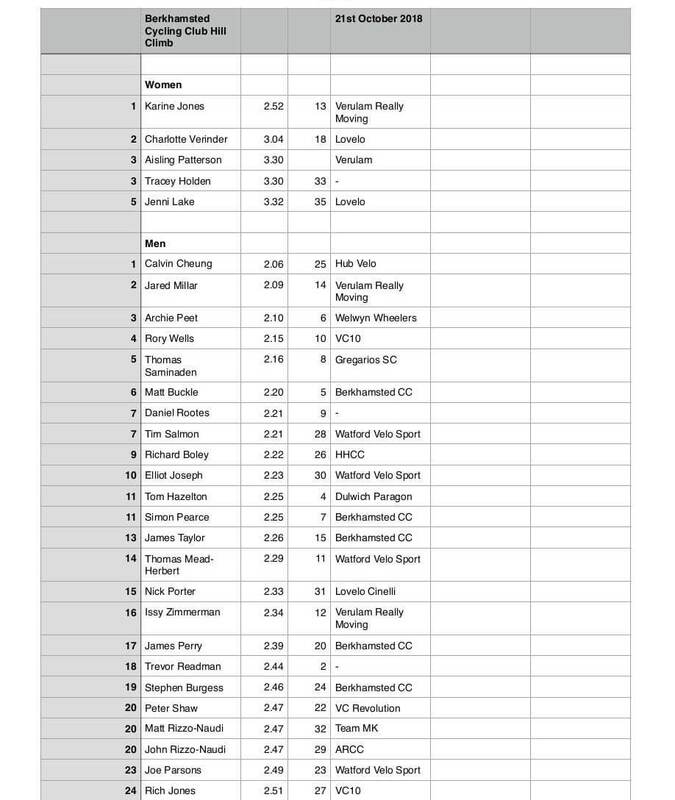 Combined with my other TT results I’m currently ranked 113th in the country! 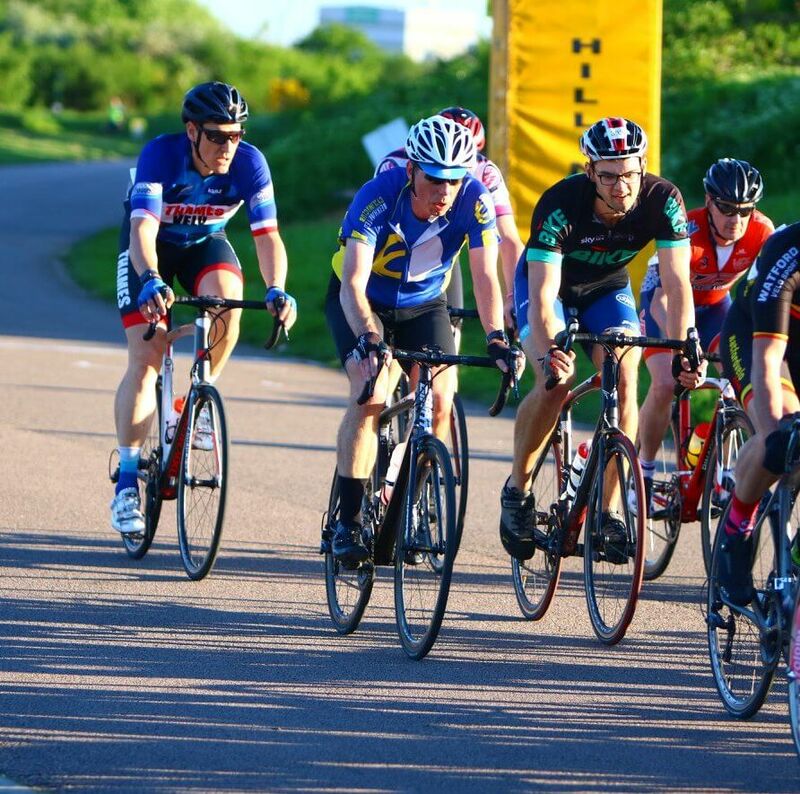 Matt and Richard raced at Hillingdon crit circuit for the first of the year’s Tuesday evening BC West Thames series of events. 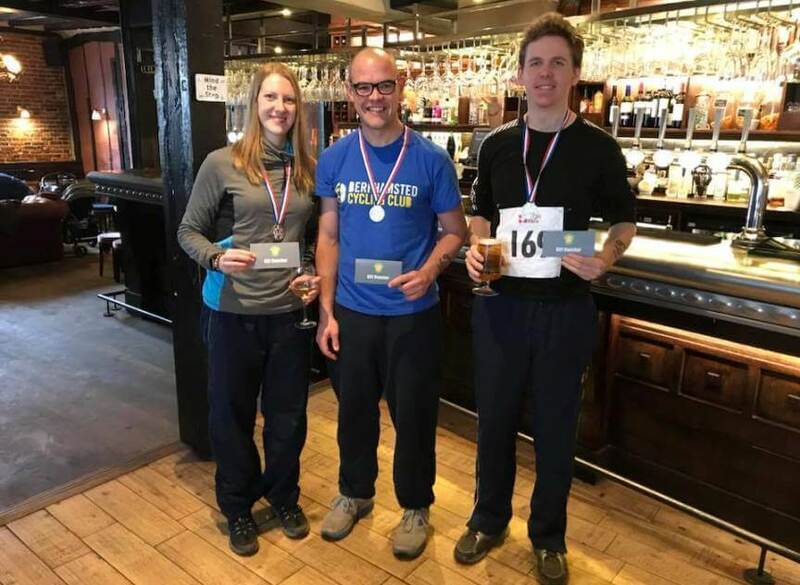 Richard entered the 4th cat only race and Matt the 3rd cat only. The 4th cat race was the first to start and Richard stayed mid pack for the majority of the time. There were a couple of attempts at a break but none of them stuck. 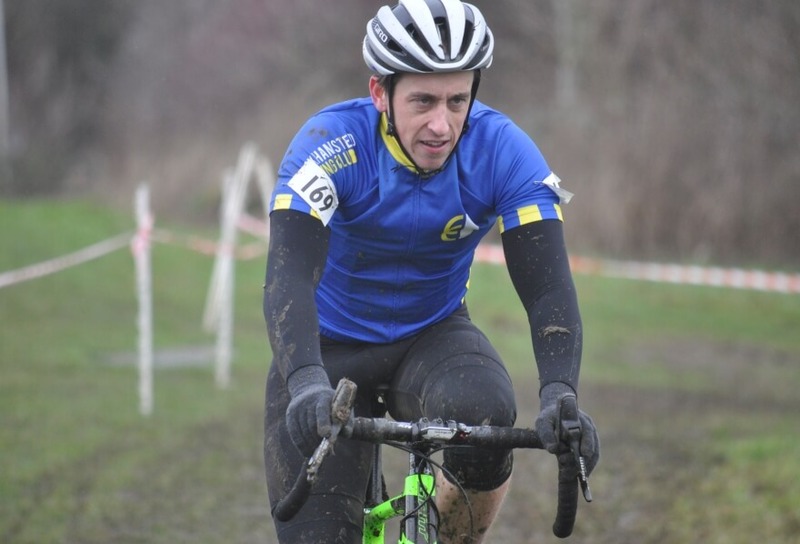 Conditions were not ideal with a cross head wind on the finish straight that proved to be Richard’s undoing. 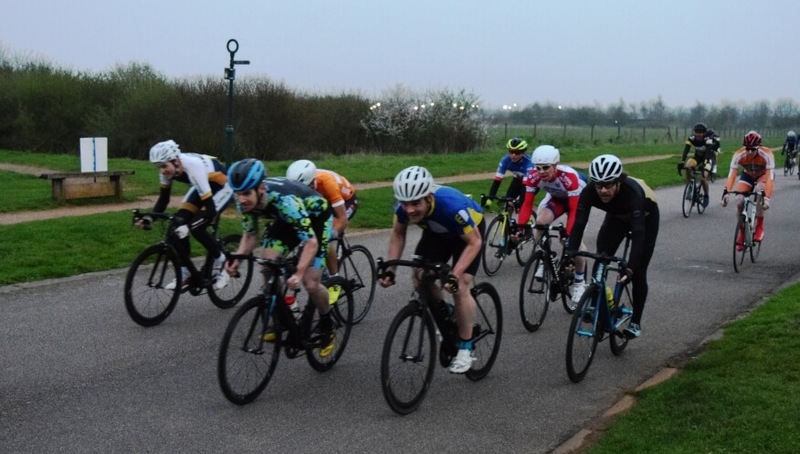 The final lap bunch sprint was a close run affair with Rich finishing safely near the back of the pack as the combination of headwind and strong sprints proved too much. 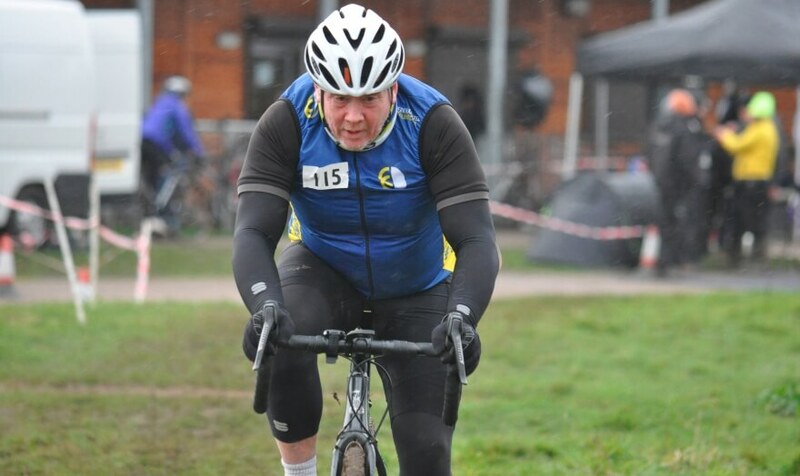 Richard was happy with his race with many race tactics learnt and is looking forward to the next one. 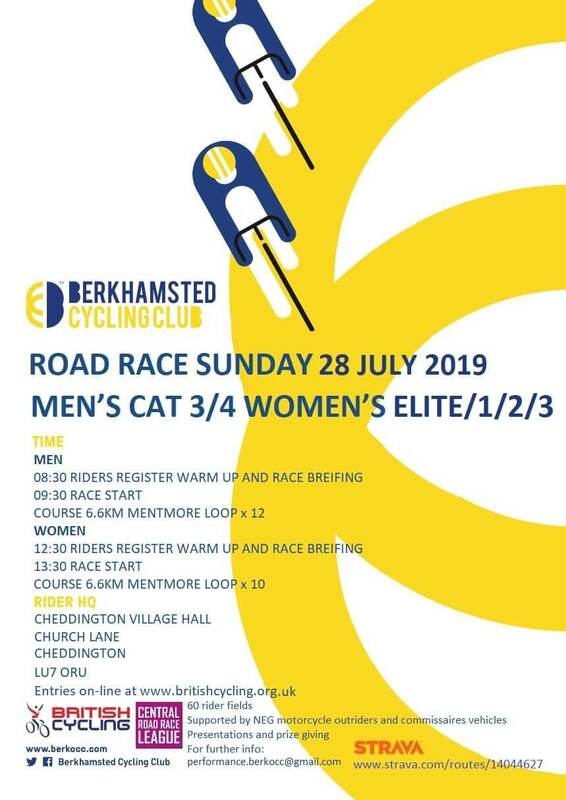 Matt was up next with the 3rd cat race that followed a very similar format as the 4th with the bunch staying together for most of the race. Matt kept close to the front but managed to stay out of the wind. On the last lap Matt moved up and when 3 riders attacked off the front he went with them. 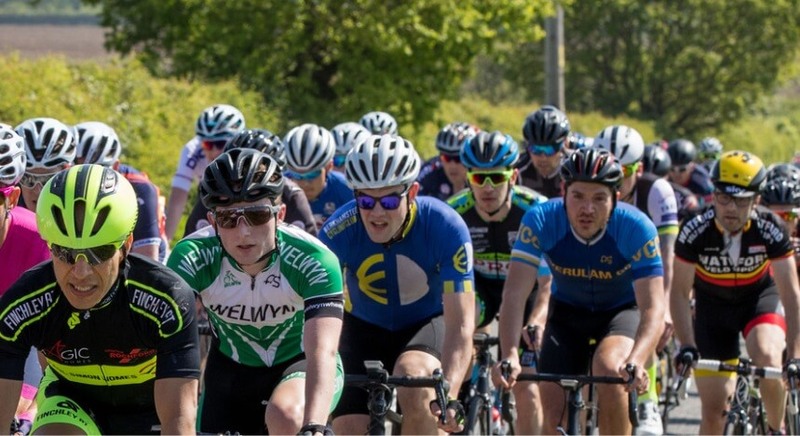 Unfortunately the riders ran out of power which left Matt taking the head wind as the bunch rounded the final corner and Matt was swamped in the sprint with 300 meters to the line. Provisional results has Matt around 15th place. Live to fight another day! 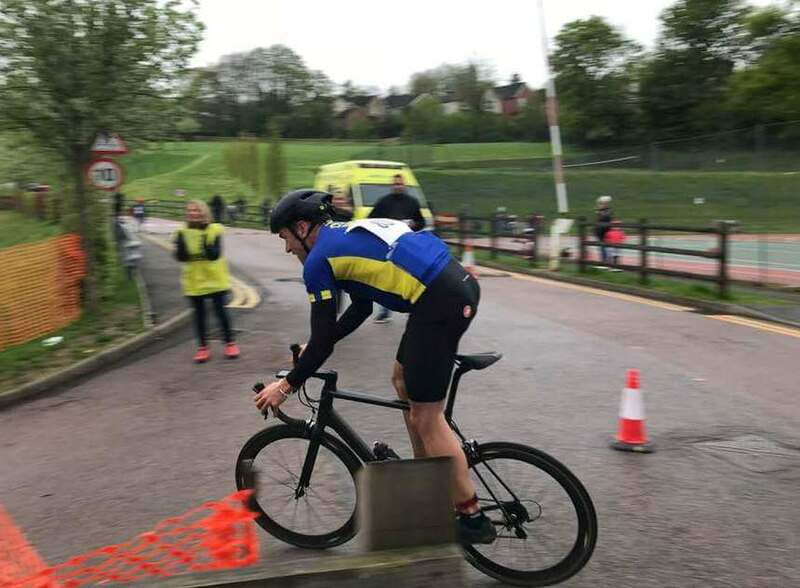 James had a busy Easter Bank Holiday weekend with a criterium race on Saturday and a hilly time trial on Sunday, both of which he did very well in. 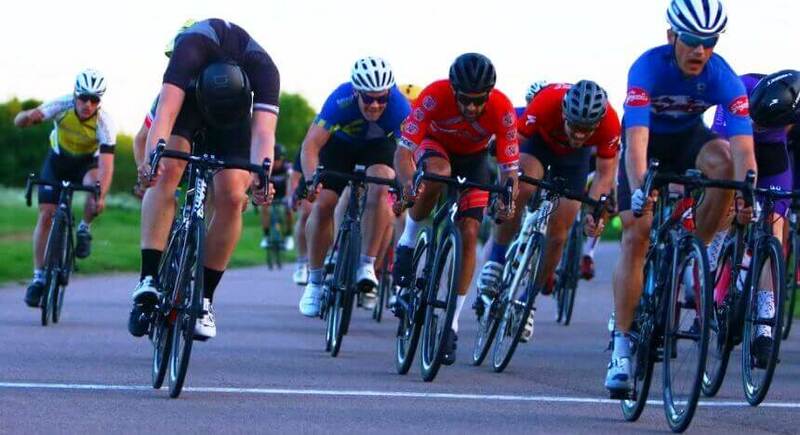 After confirmation that I finished in 9th place in the MK Crit the previous week, I had my first precious British Cycling point on the board. 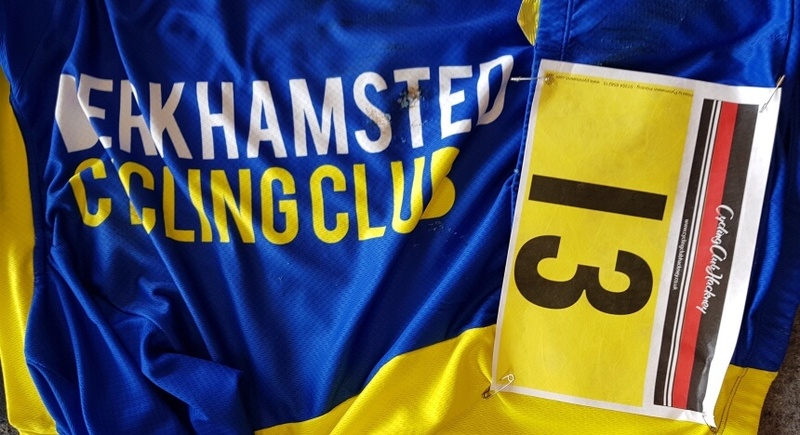 On Saturday afternoon I went down to Hillingdon with the aim of adding to my points total. 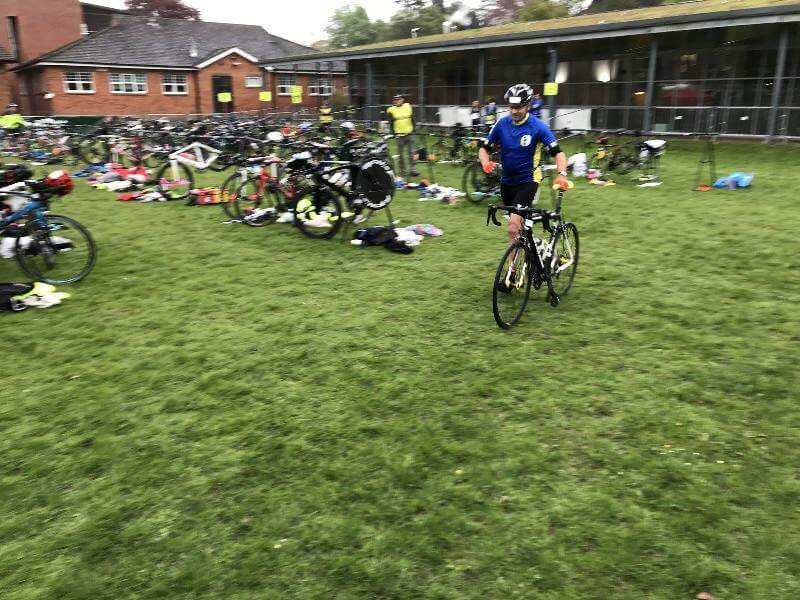 As I completed a couple of warm up laps the wind started to pick up, and from the advice of fellow BCC racers, they said that it was unlikely that a break would get away if there was a strong wind. 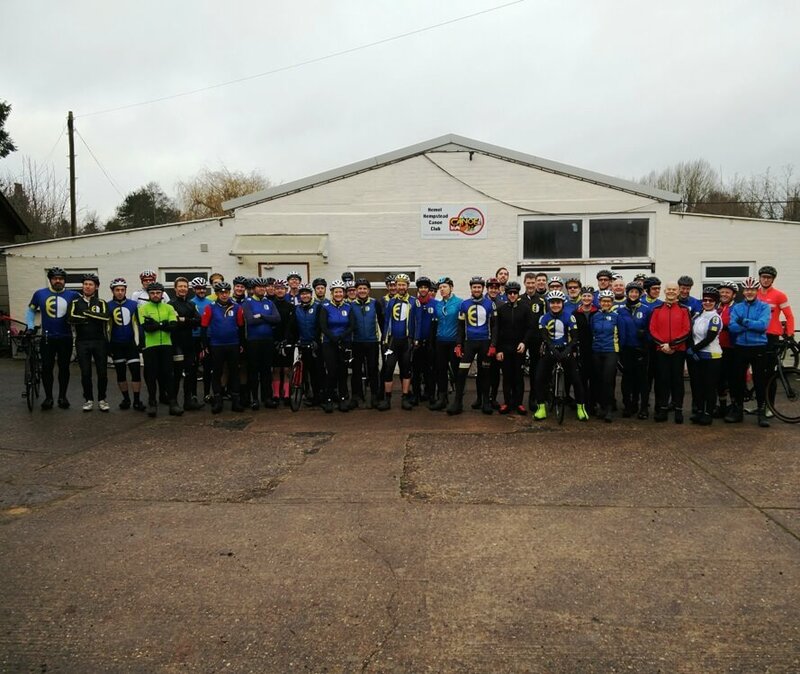 So the race started, and time and time again they were proved right, as various riders tried to break away and as soon as they hit the headwind they were quickly brought back to the group. However, this didn’t stop some trying and failing to make repeated attacks. 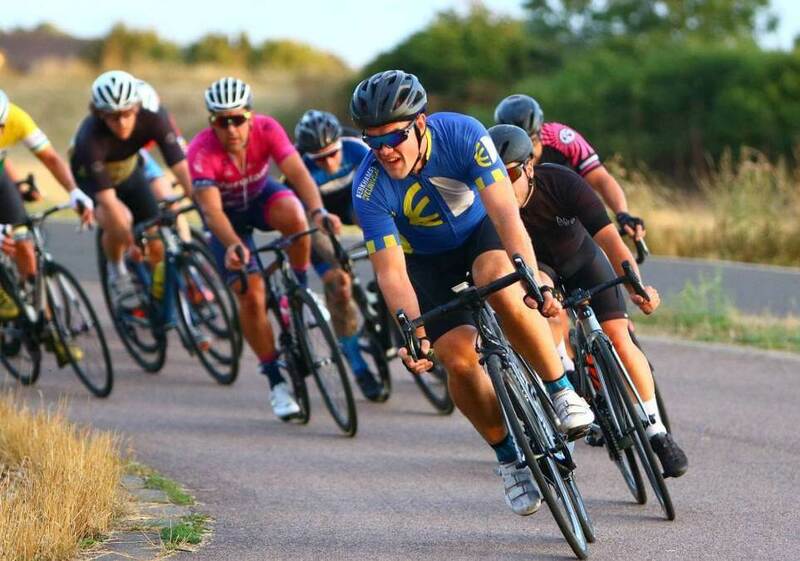 I was more than happy to sit in the bunch and let them waste energy. 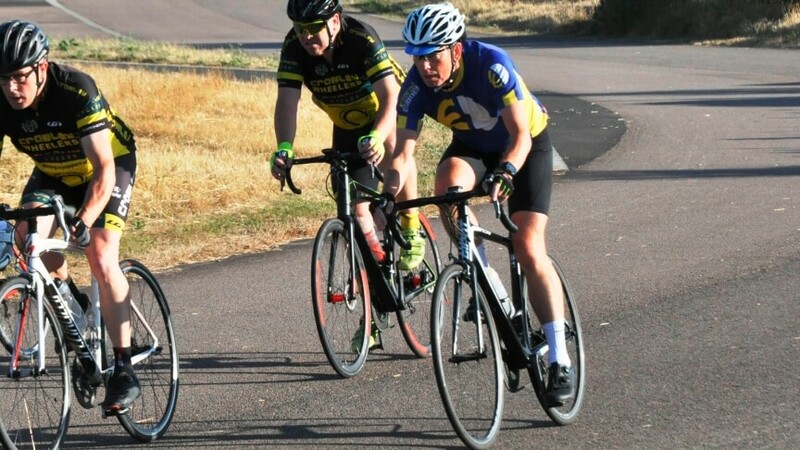 Into the final three laps, and a small group put the hammer down, I jumped onto a wheel and clung on as the pace picked up further. 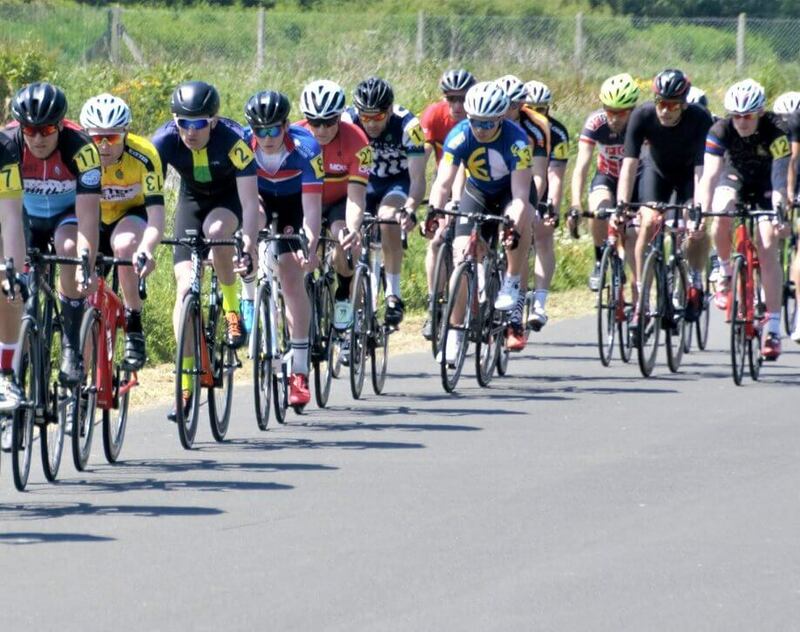 This split the race in half with only about 10 riders able to cope with the increased speed. Going into the final lap I was trying to position myself for the sprint finish. 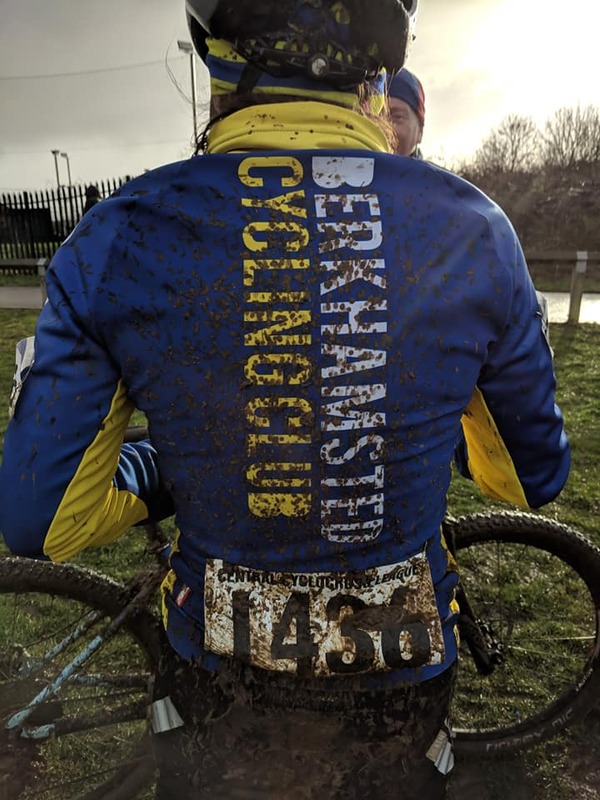 Someone opened their sprint just before the final bend so I jumped to their wheel, but they quickly faded, I went past them but was now boxed in meaning I couldn’t make up any further places, so I had to settle for 7th. 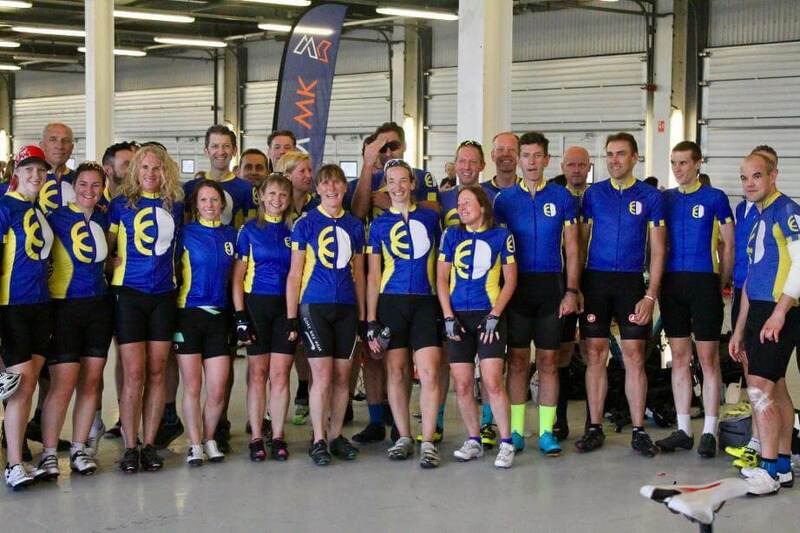 3 further BC points on the board, and now only 8 until that Cat 3 licence. 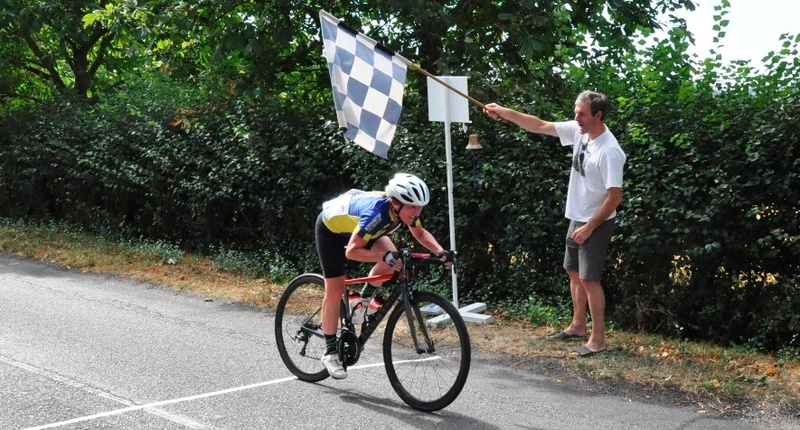 When signing up for the Watford Whiteleaf TT I had a look at previous editions and in the past the race had gone up Whiteleaf twice. Tough, I thought, but doable, though maybe for some sick April fool’s day joke this year it would be 3 times up the hill! Going up Whiteleaf would be at the end of each lap, so I had about 10km to prepare myself for it. 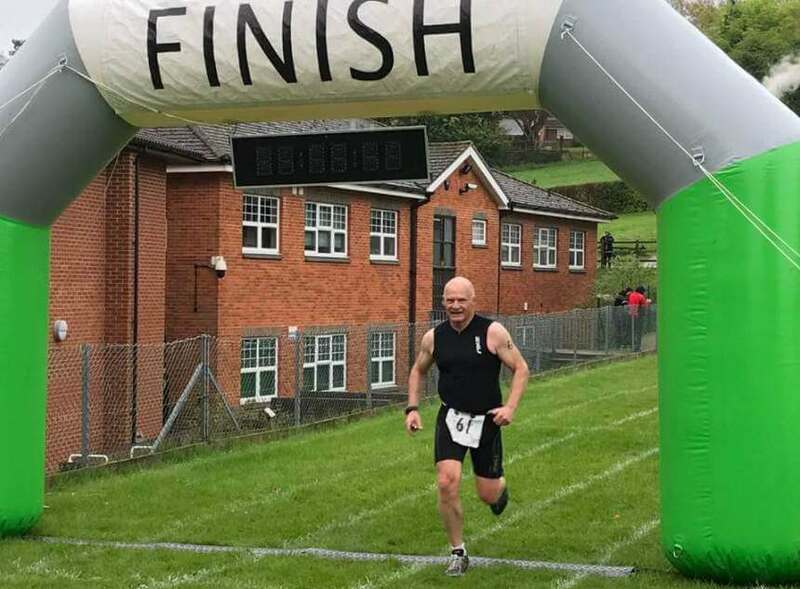 I started well and got into a good rhythm though turning onto the hill quickly stopped that, sapping the energy from my legs, it was a grind to the top. 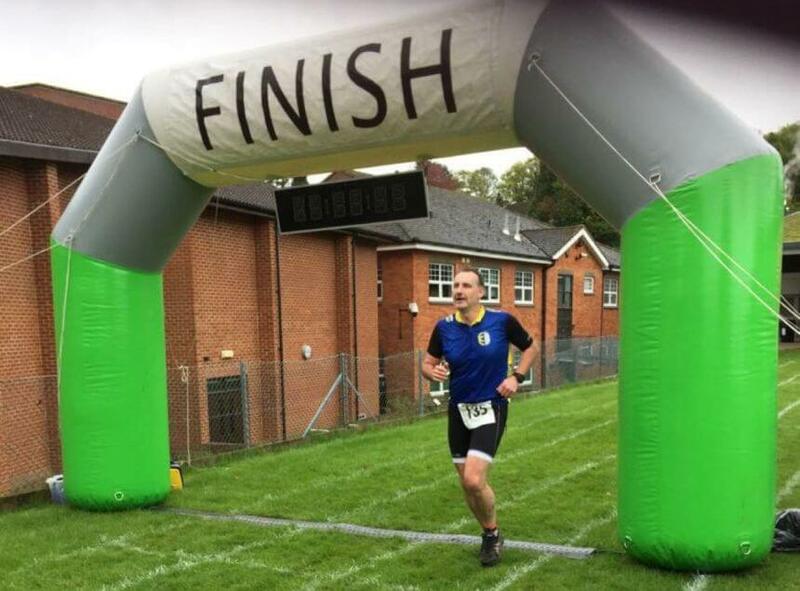 1 lap down 2 to go, I settled back into my rhythm and finished the second lap just 26 seconds slower than the first. Just 20 minutes of suffering remaining. 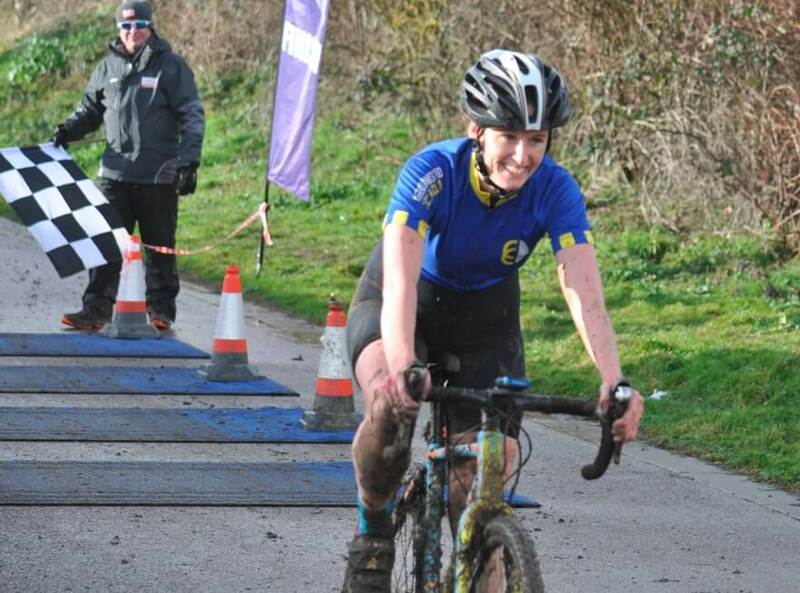 Going up Whiteleaf for the final time and feeling like I was cycling through treacle, I emptied what I had left in the tank, clocking a time of 1:02:45 and finishing in 7th place! 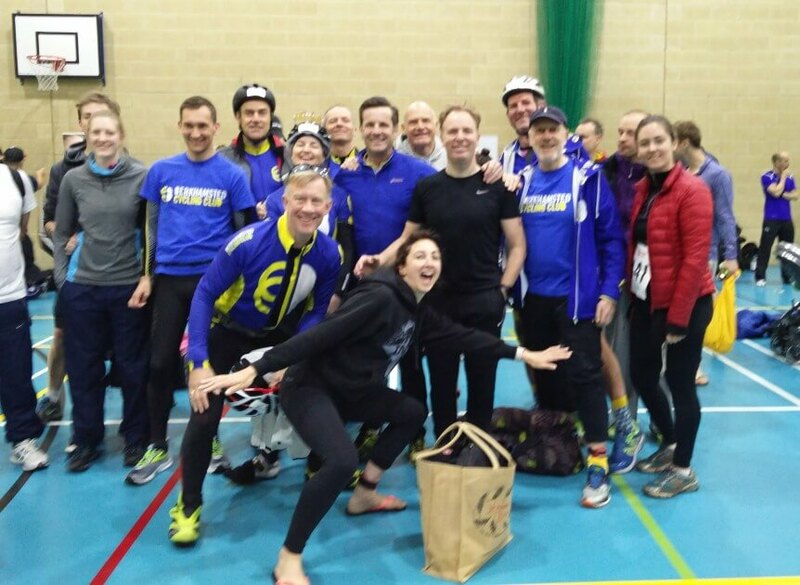 The club wishes James congratulations on a great weekend’s racing and speedy progress to Cat 3.